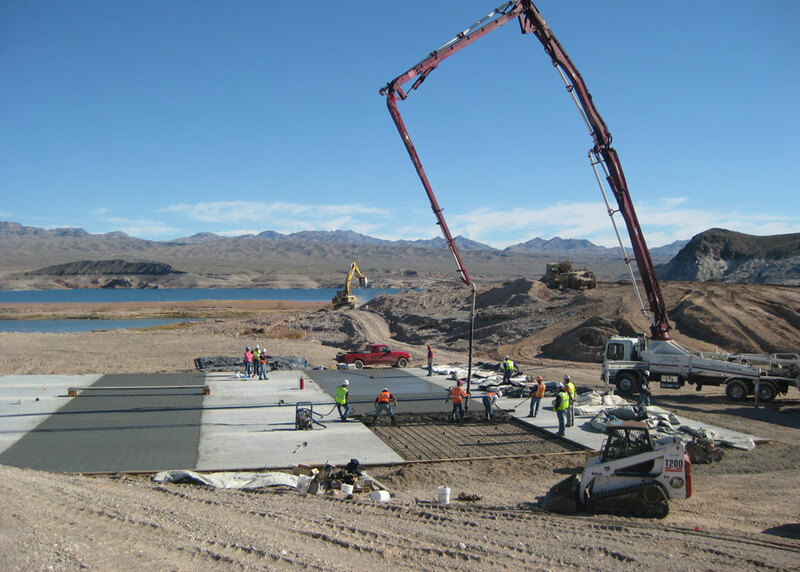 Project Description Remove and replace precast concrete cattleguards. 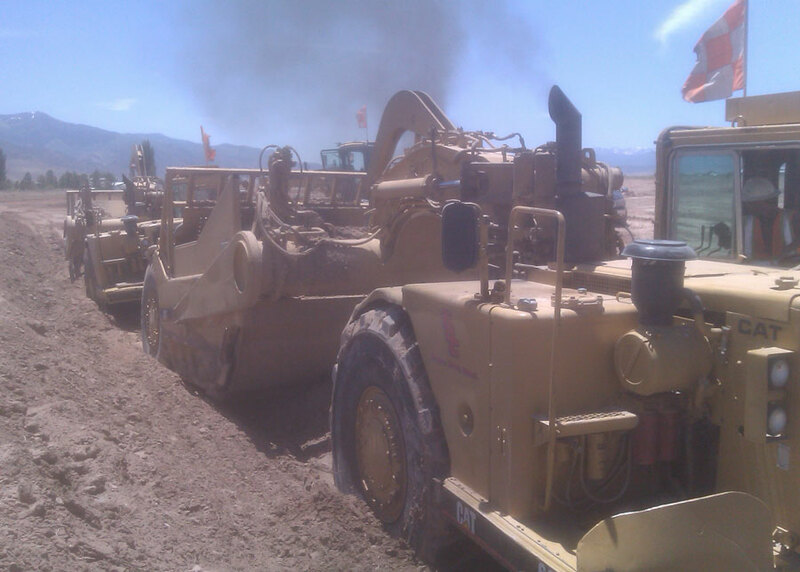 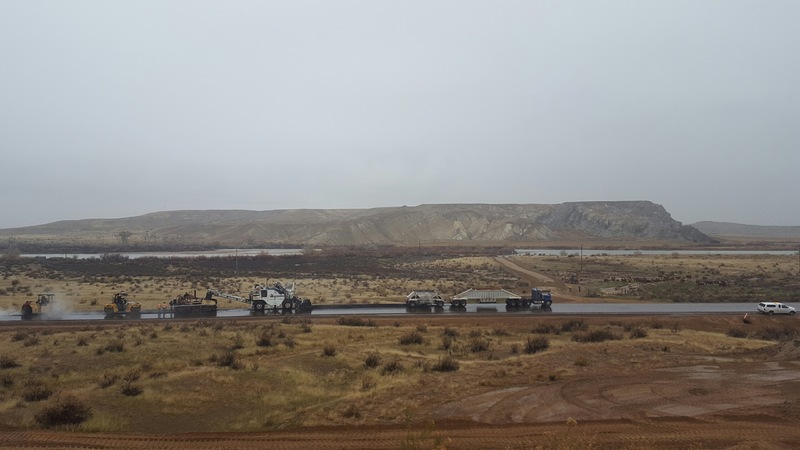 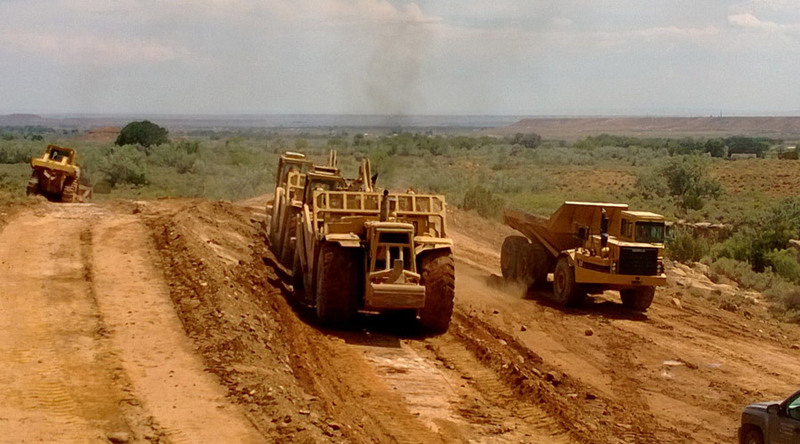 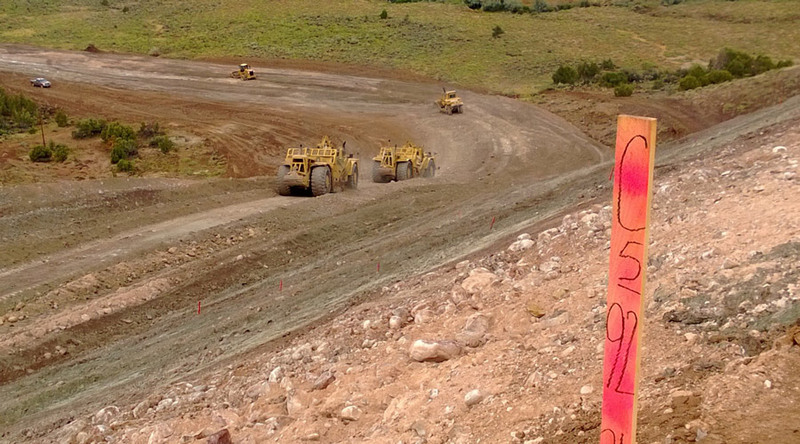 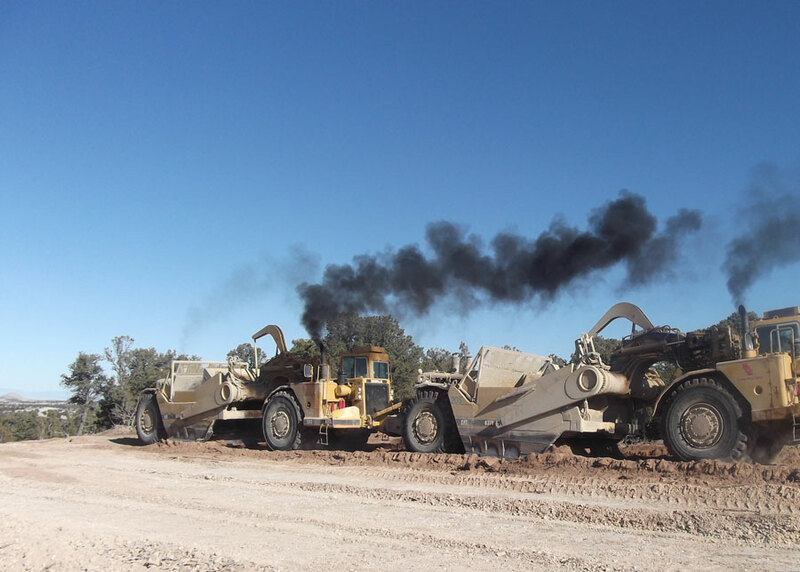 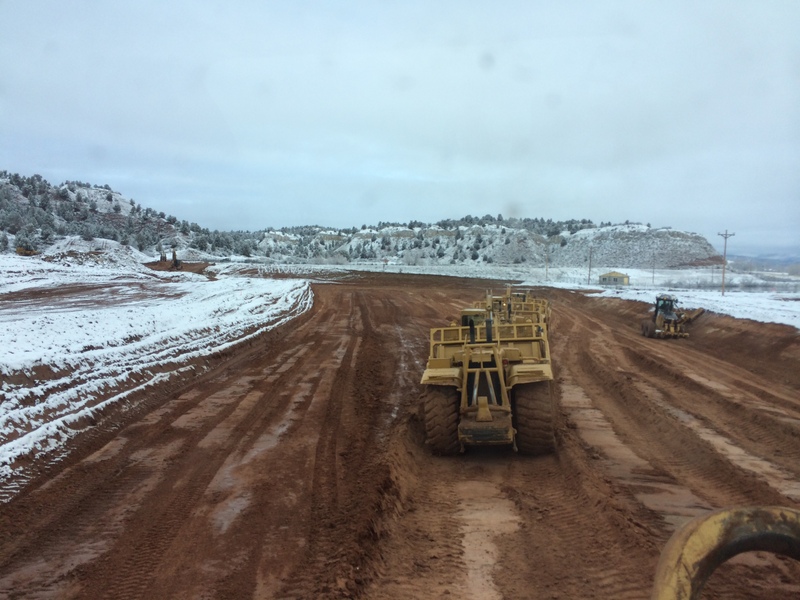 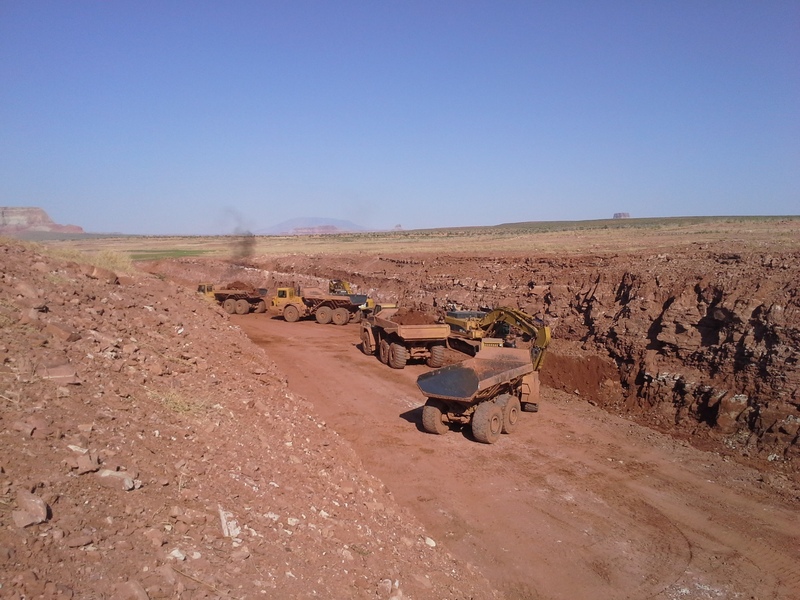 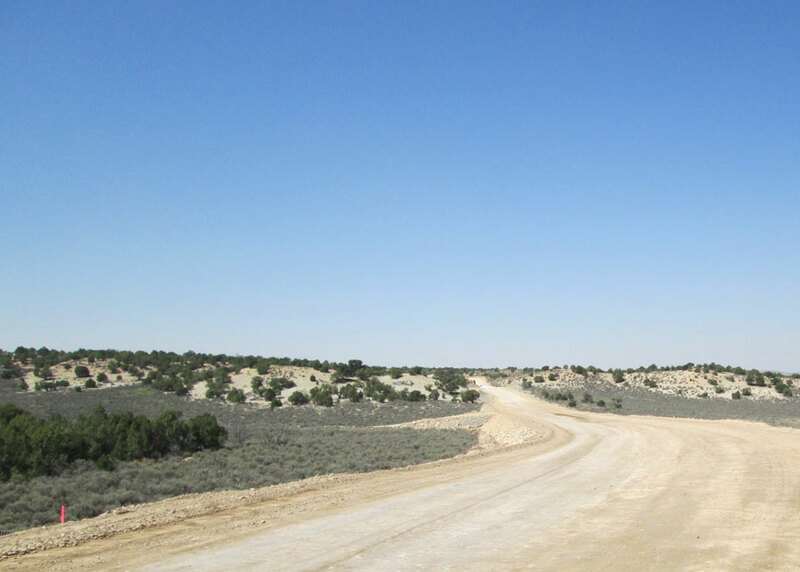 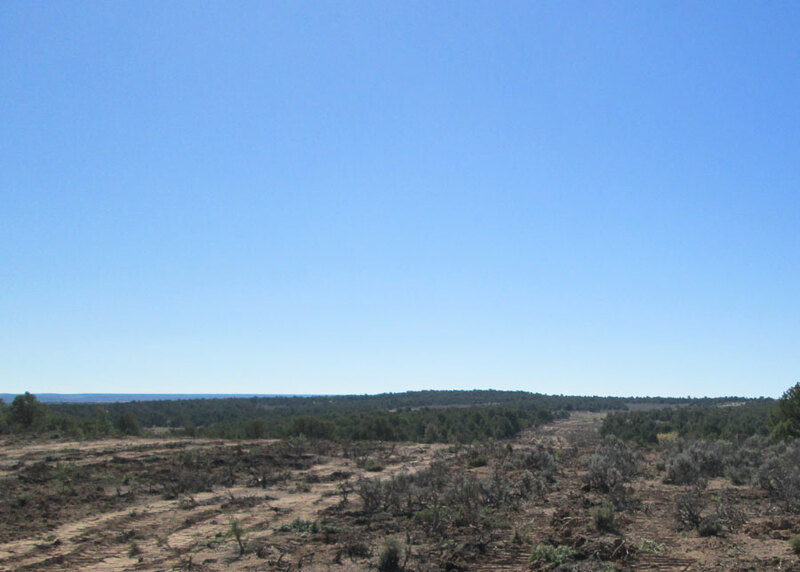 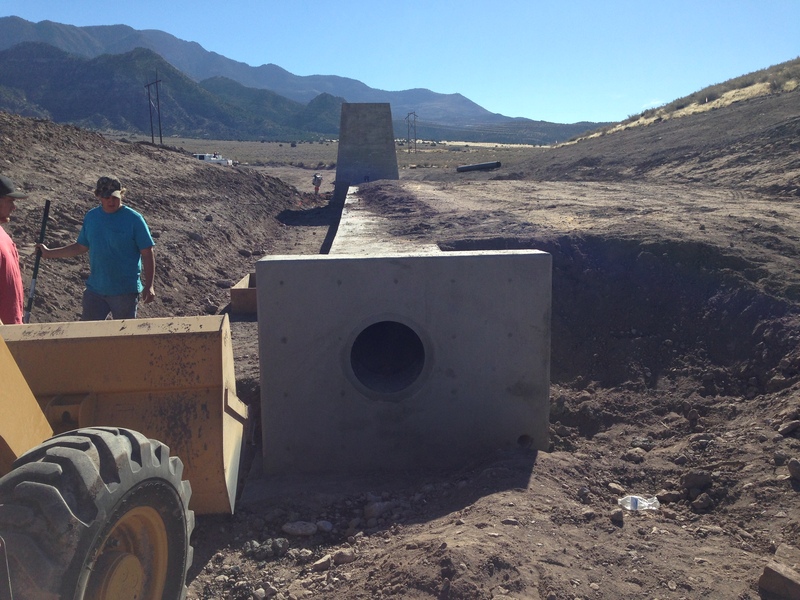 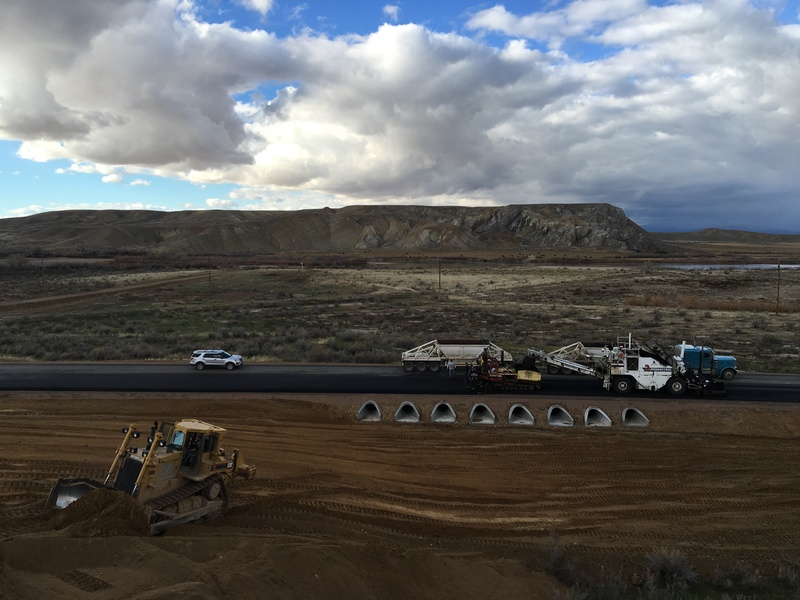 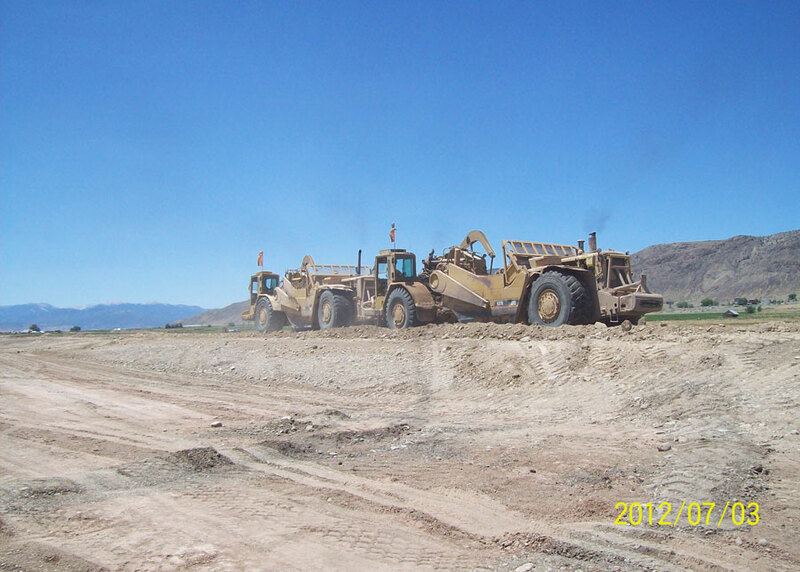 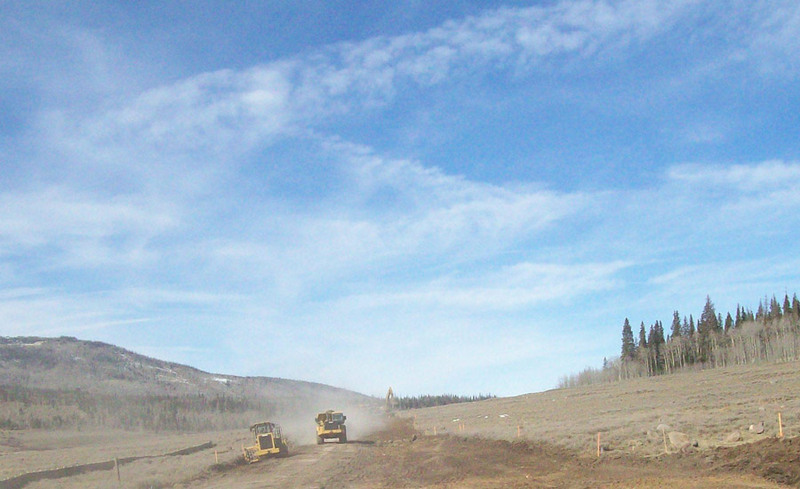 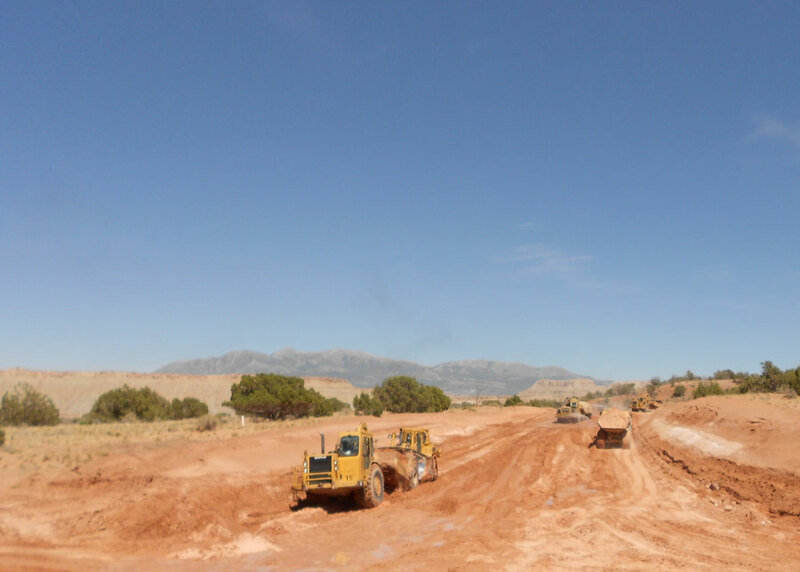 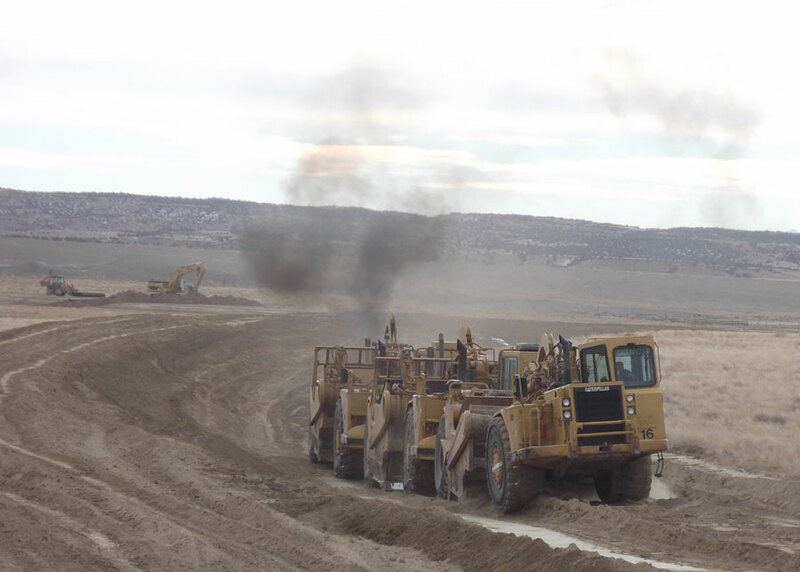 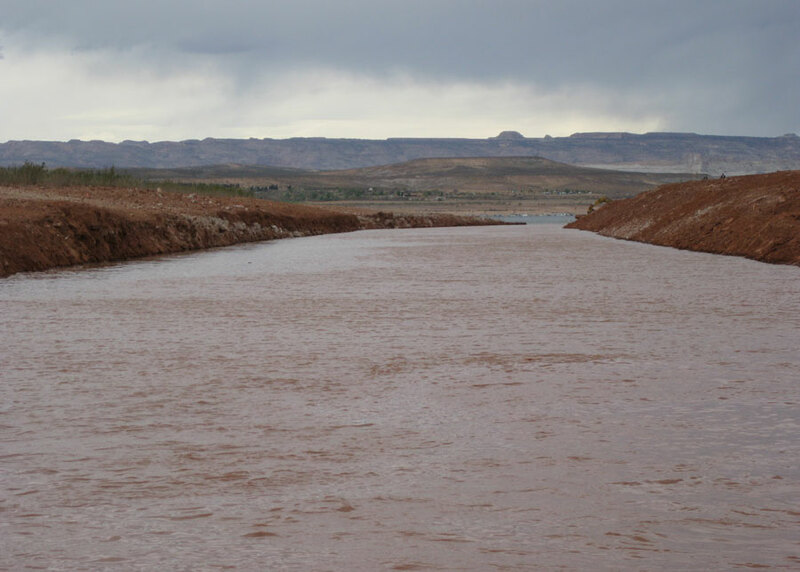 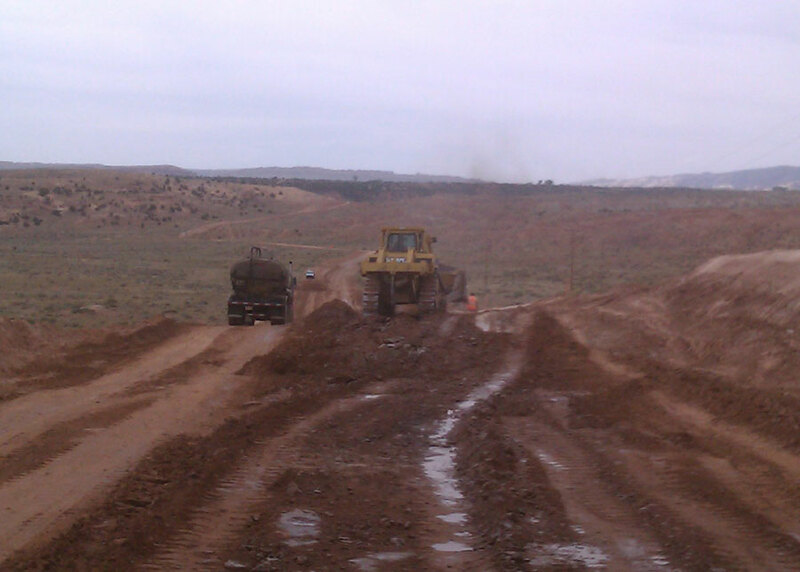 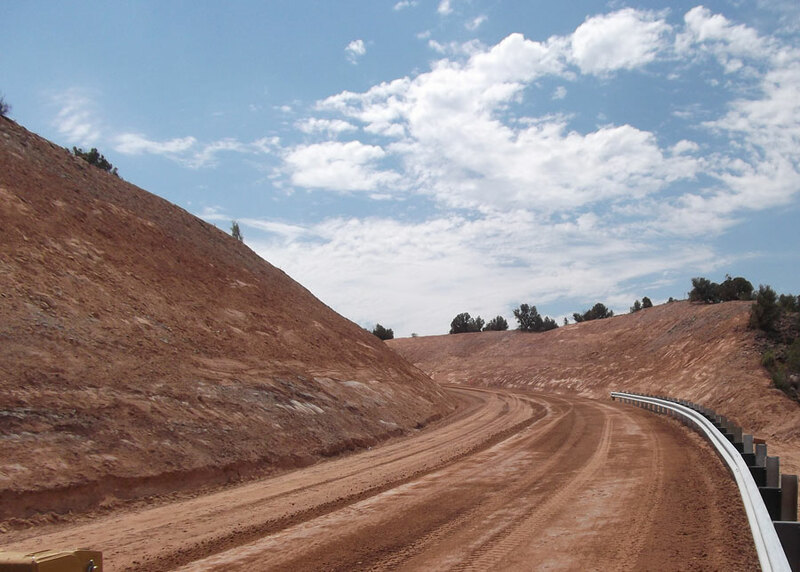 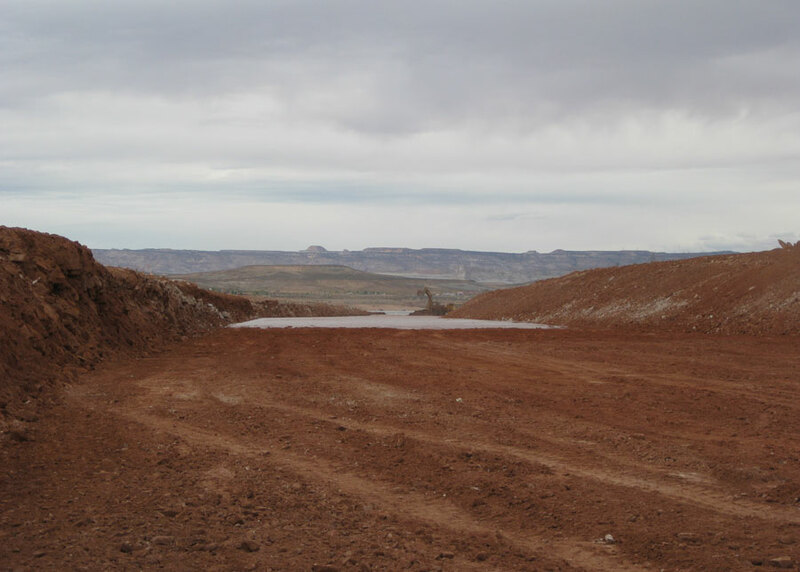 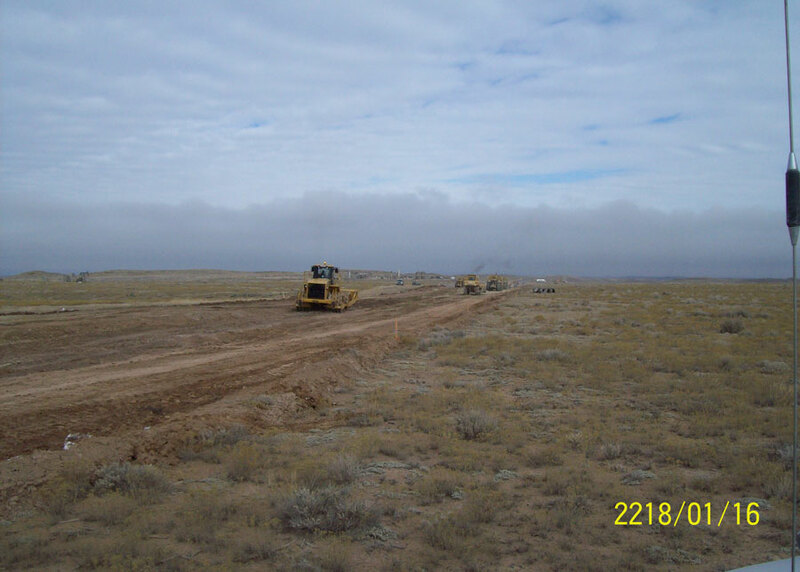 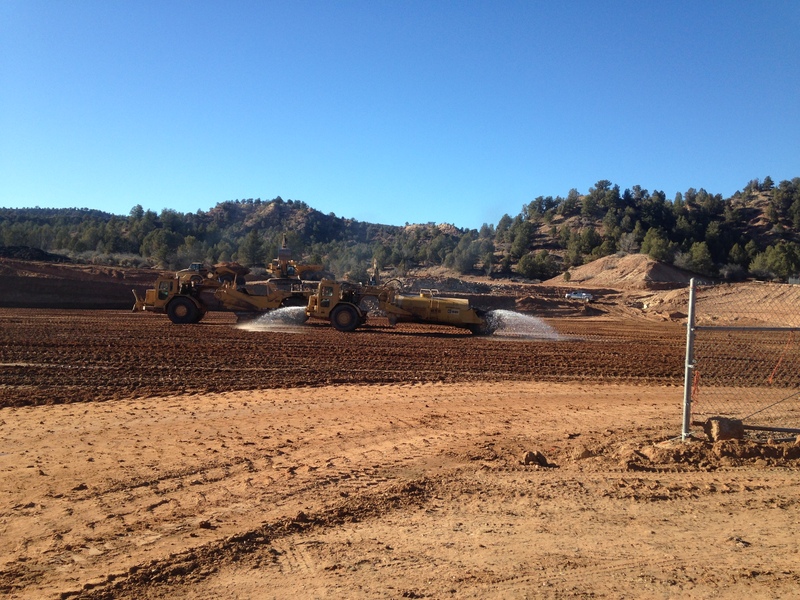 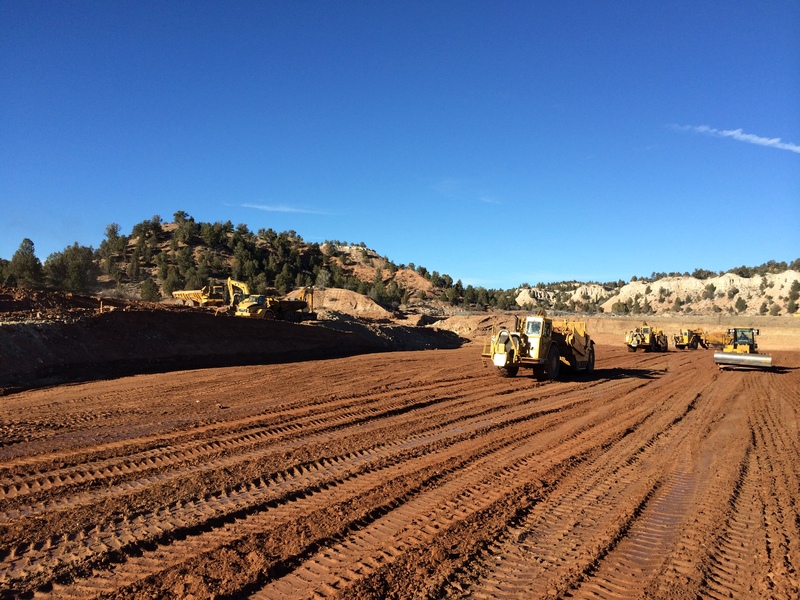 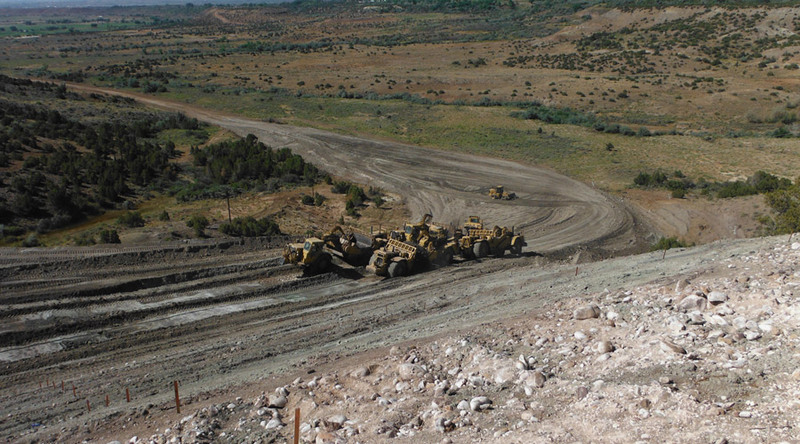 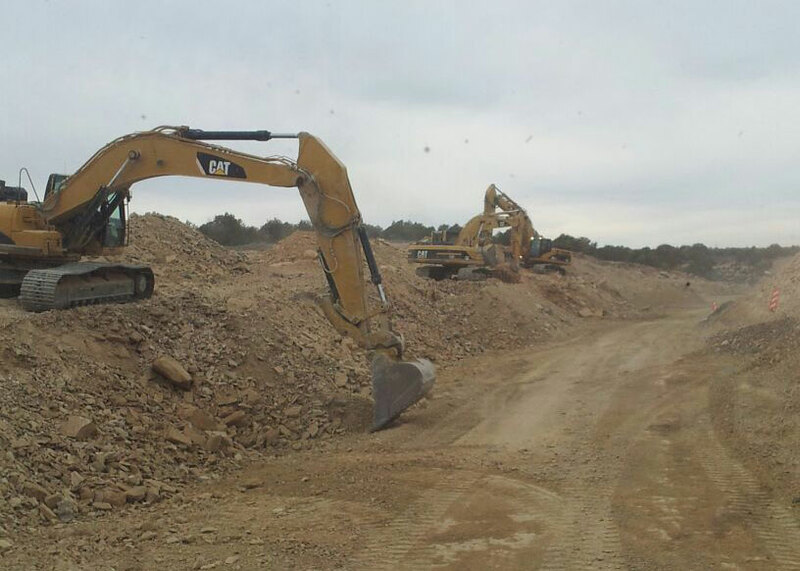 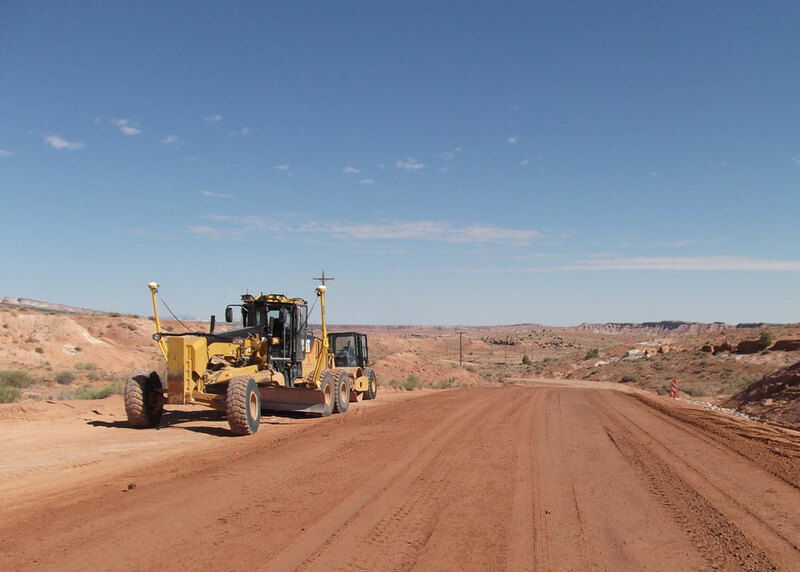 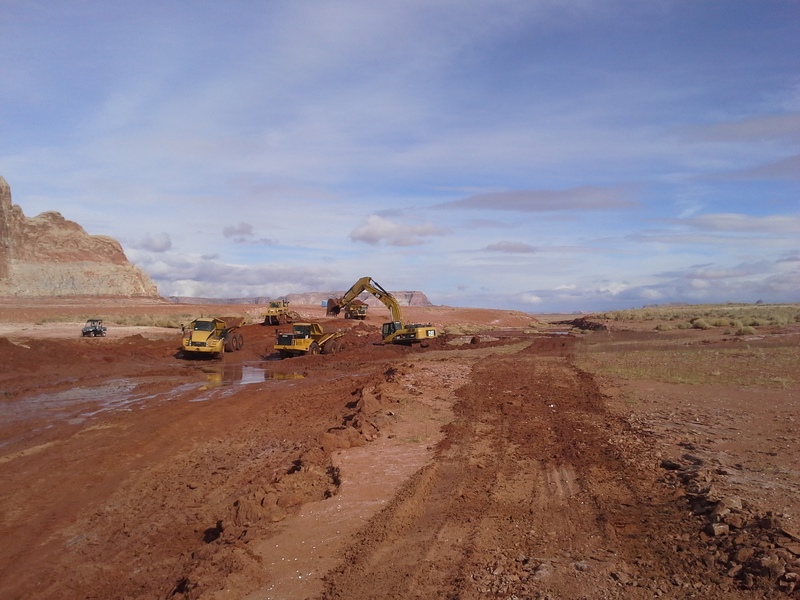 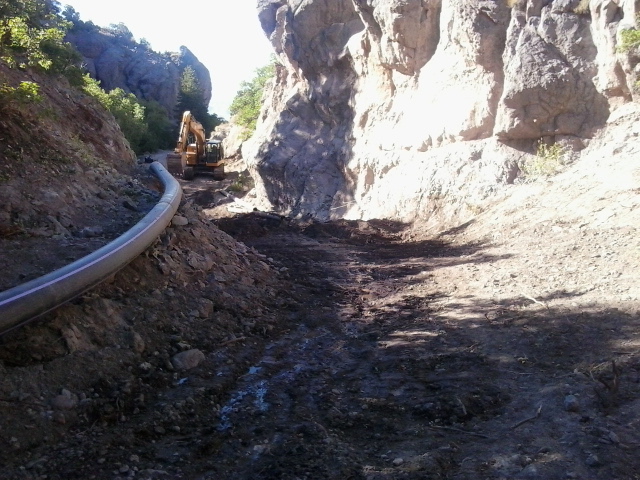 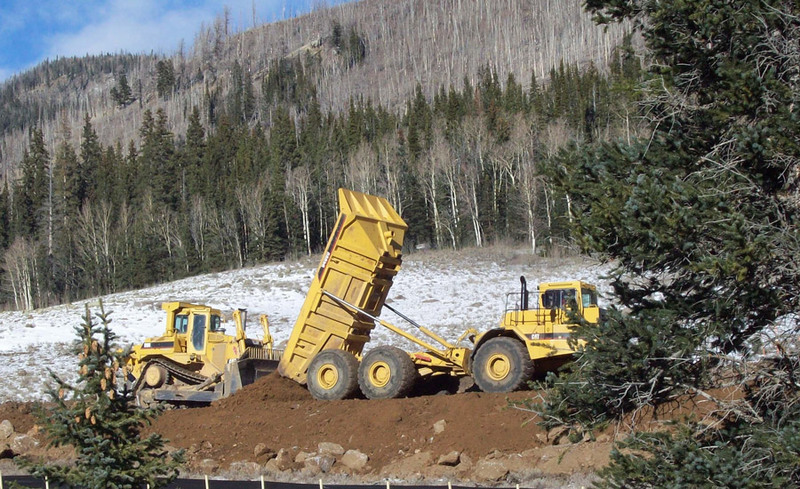 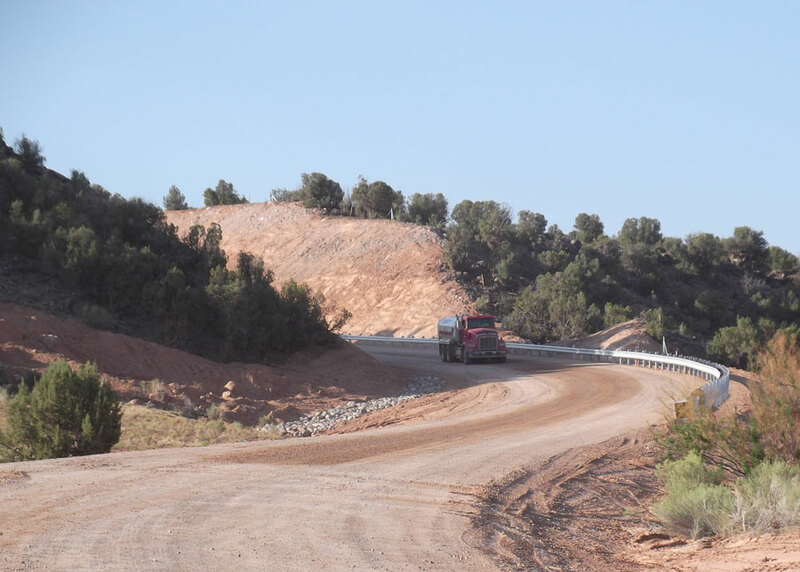 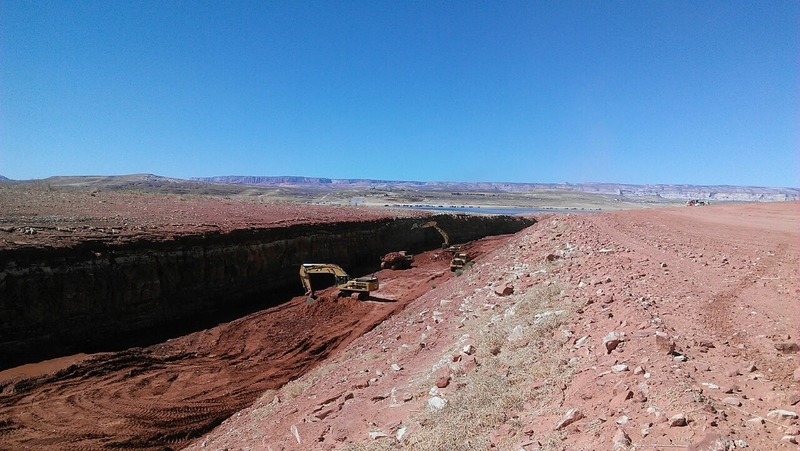 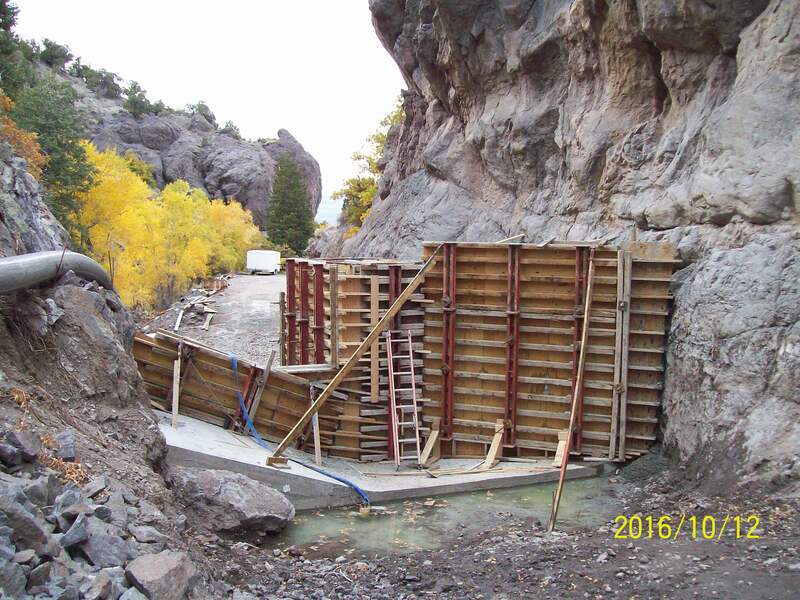 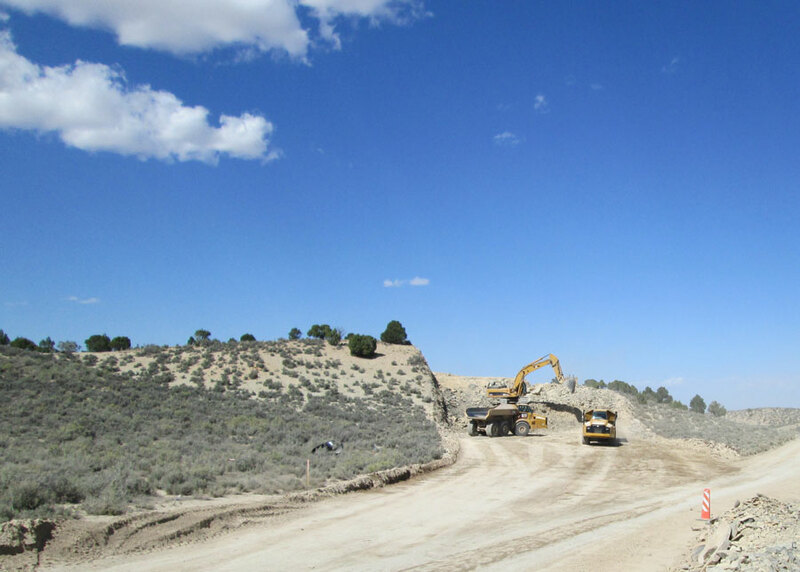 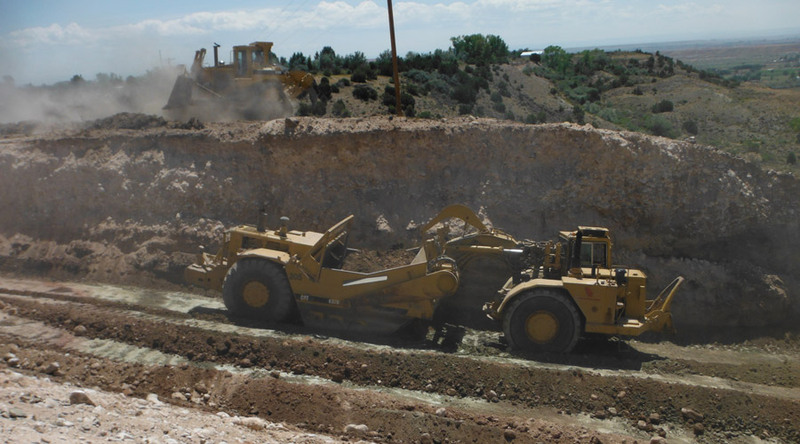 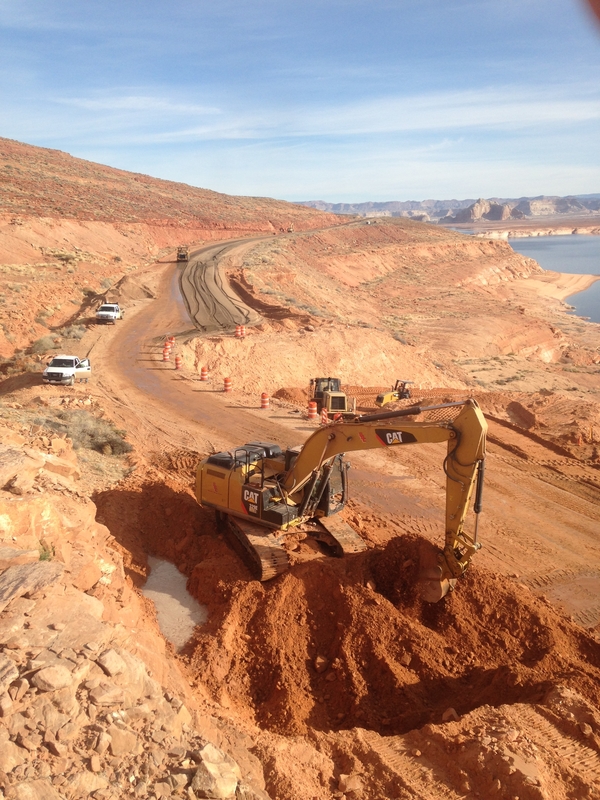 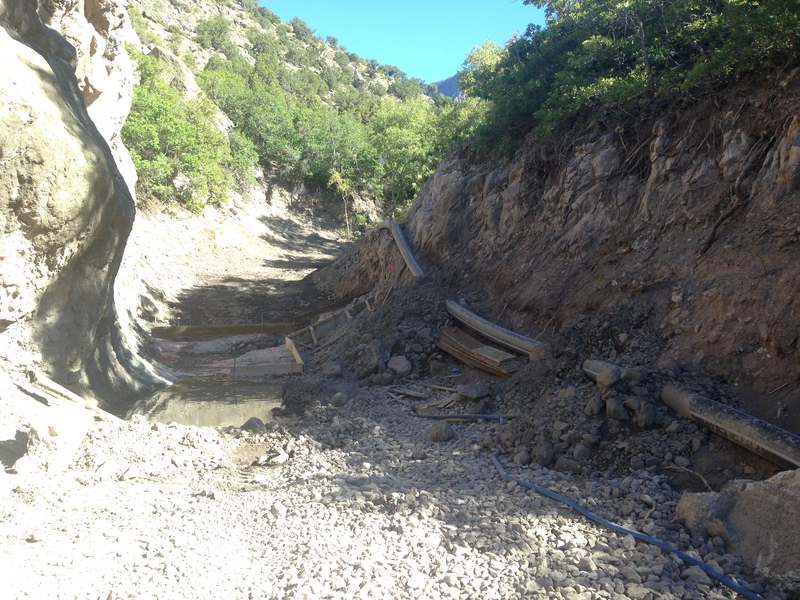 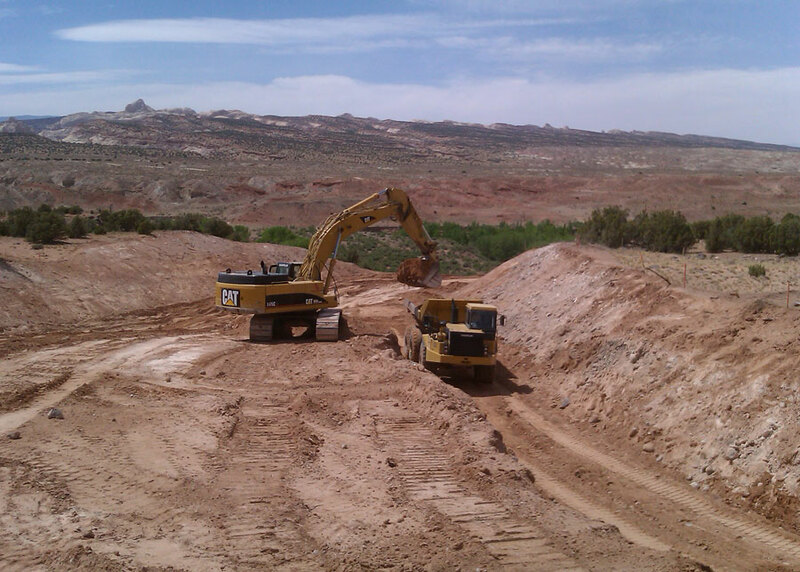 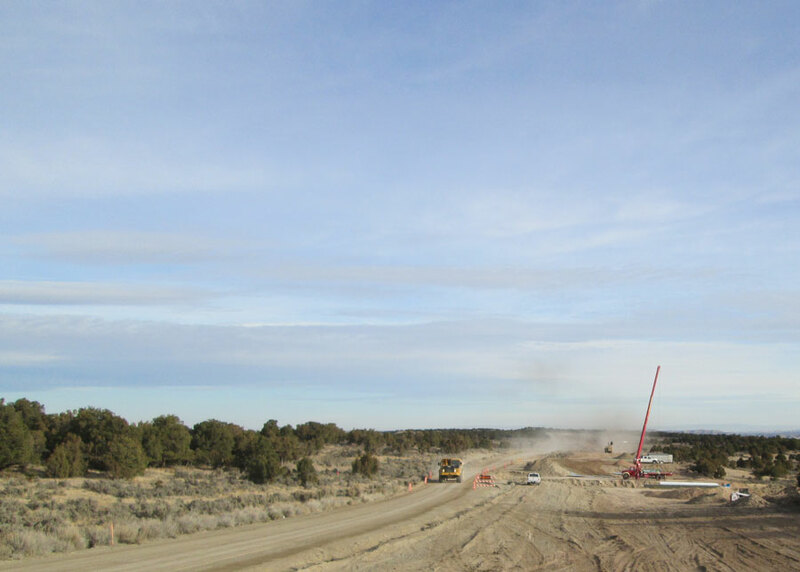 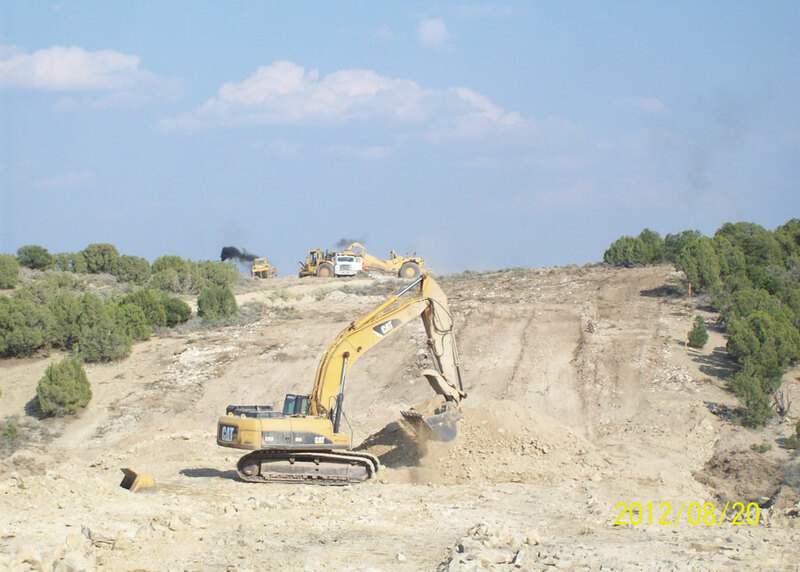 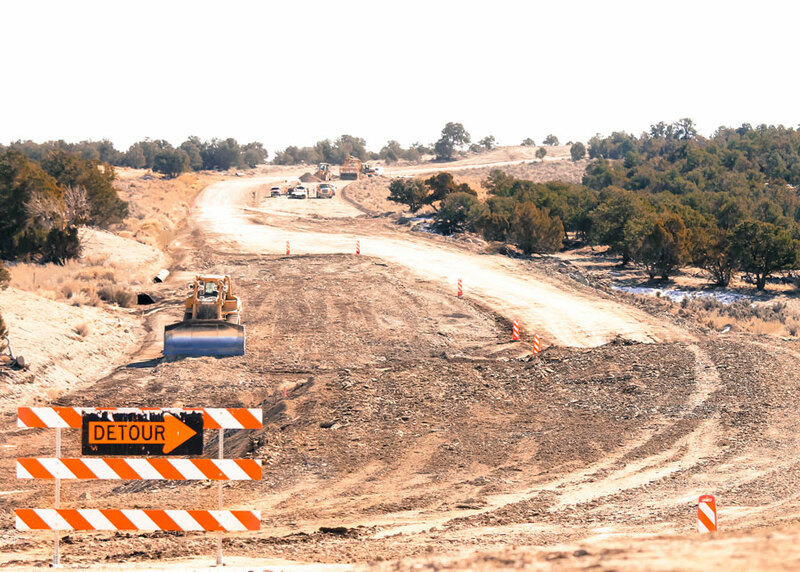 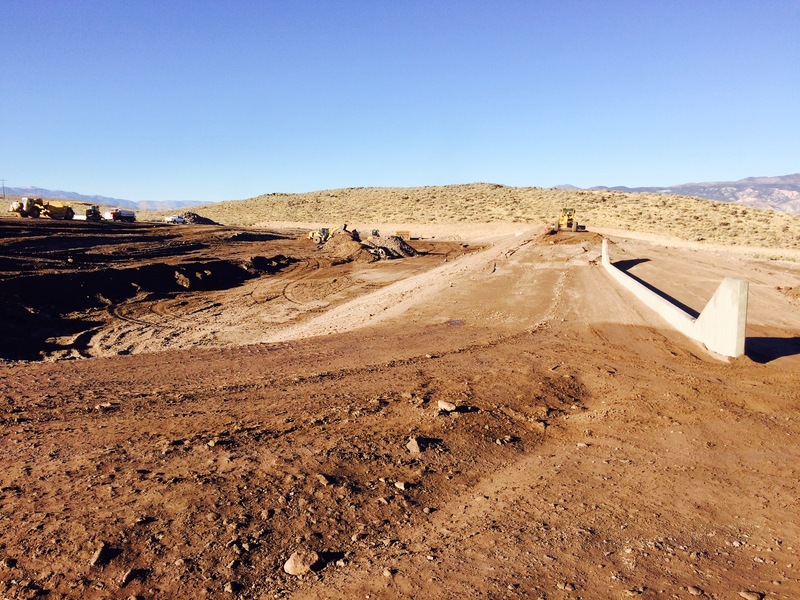 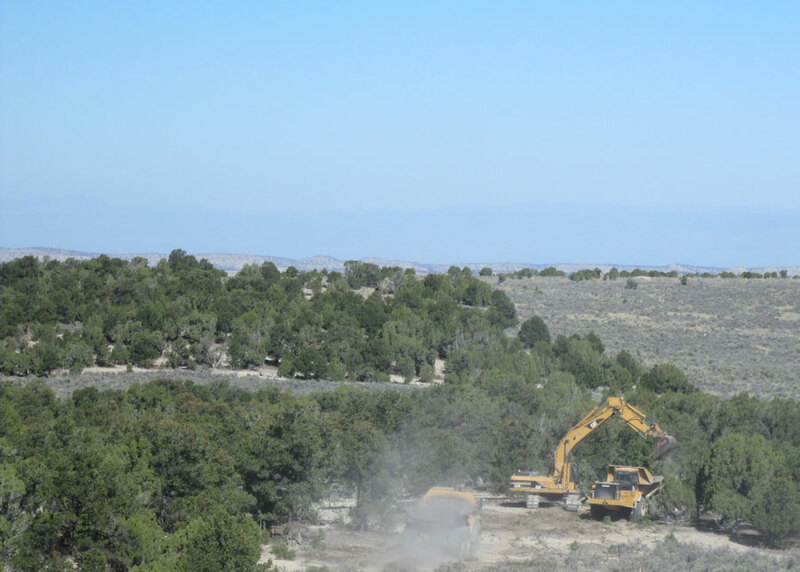 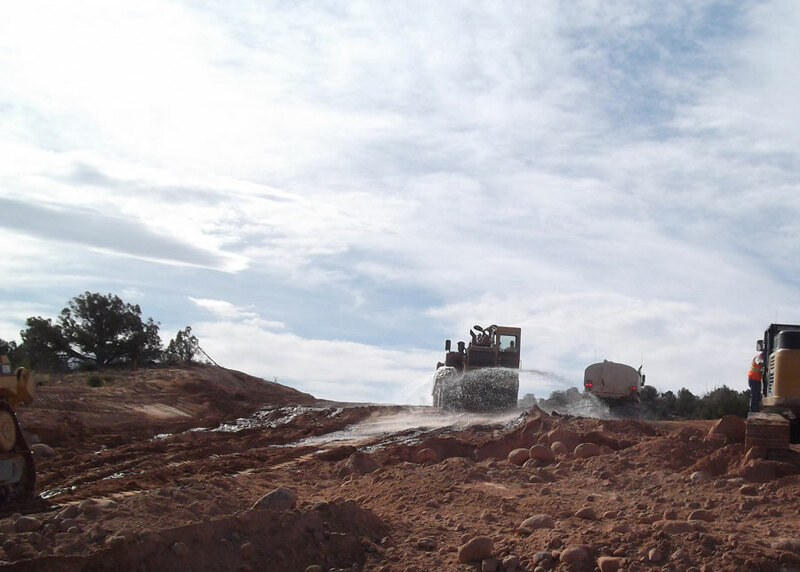 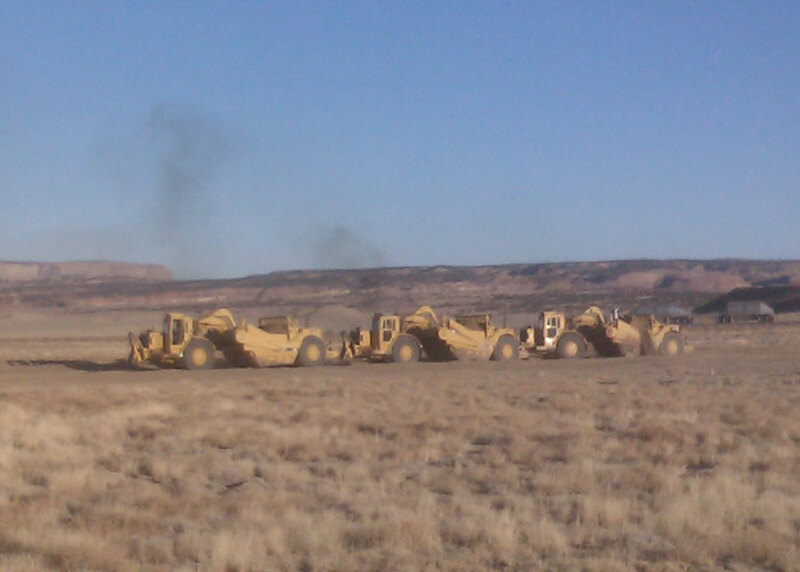 Project Description Construct passing lanes on US-89 between MP 44 and 48. 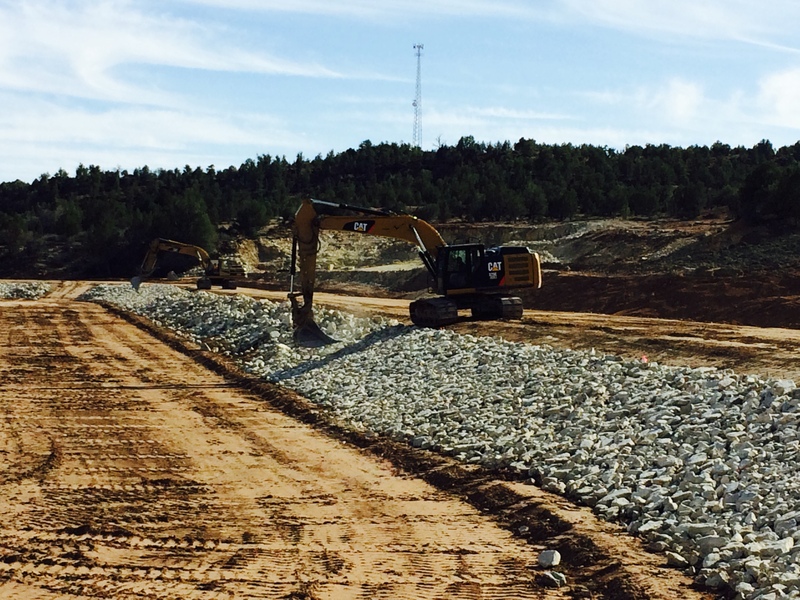 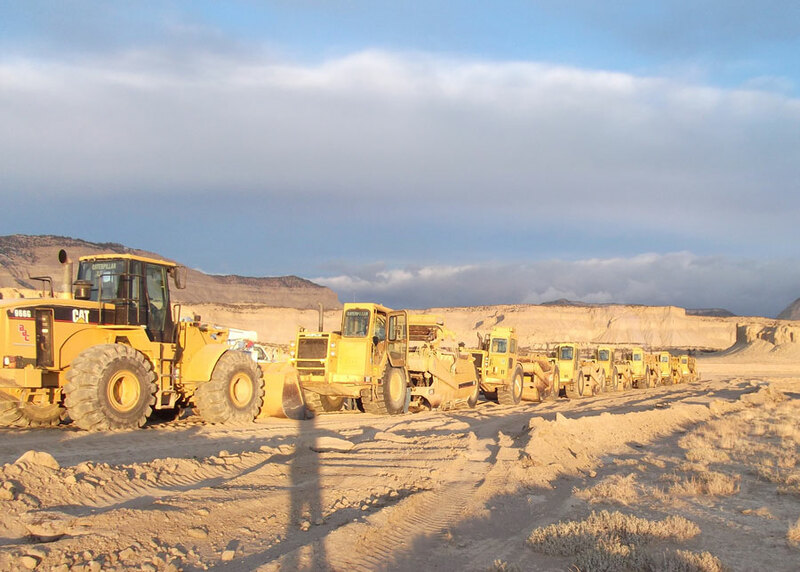 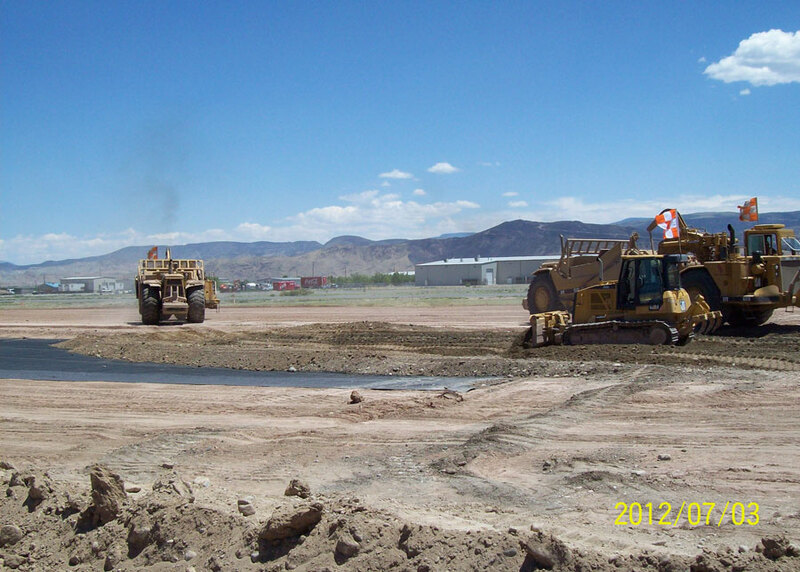 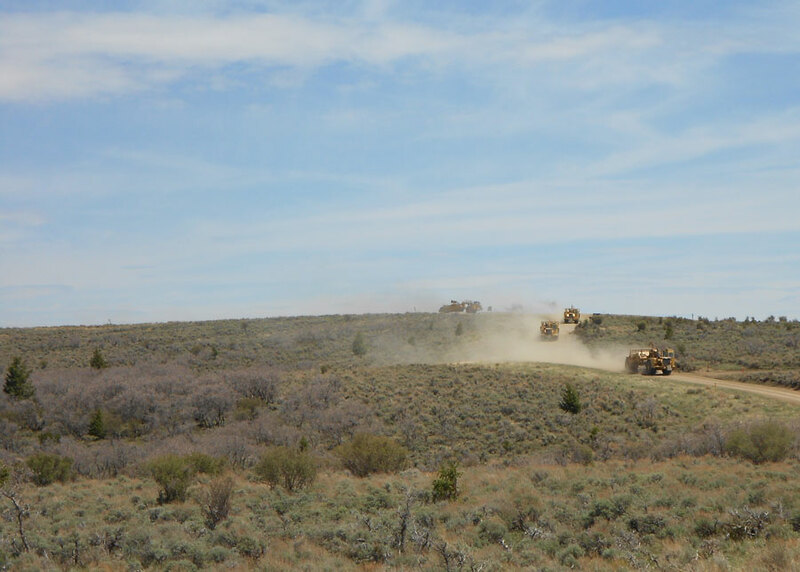 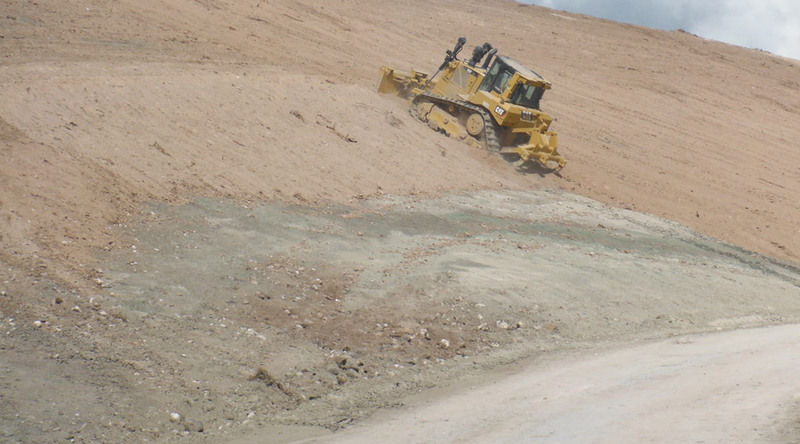 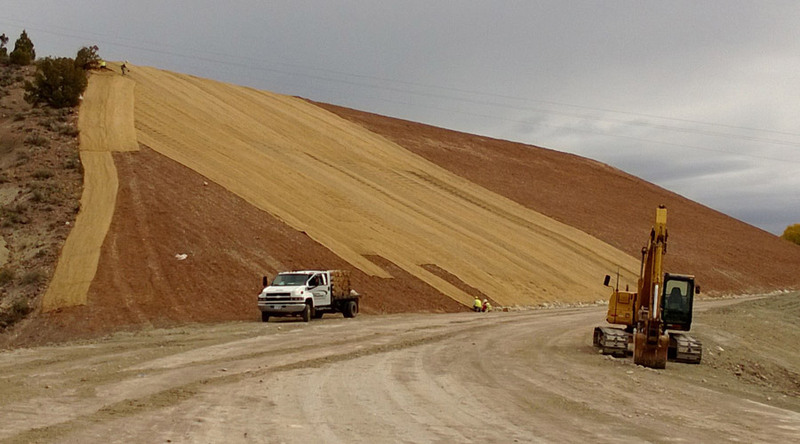 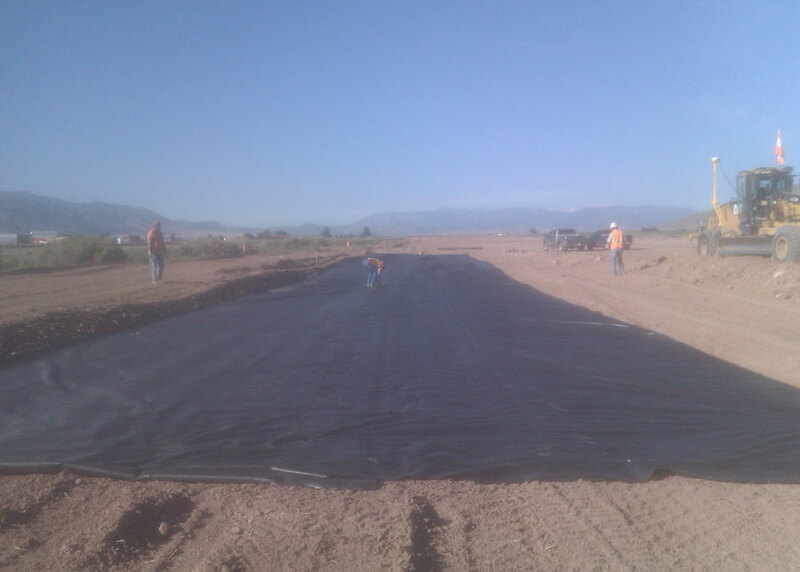 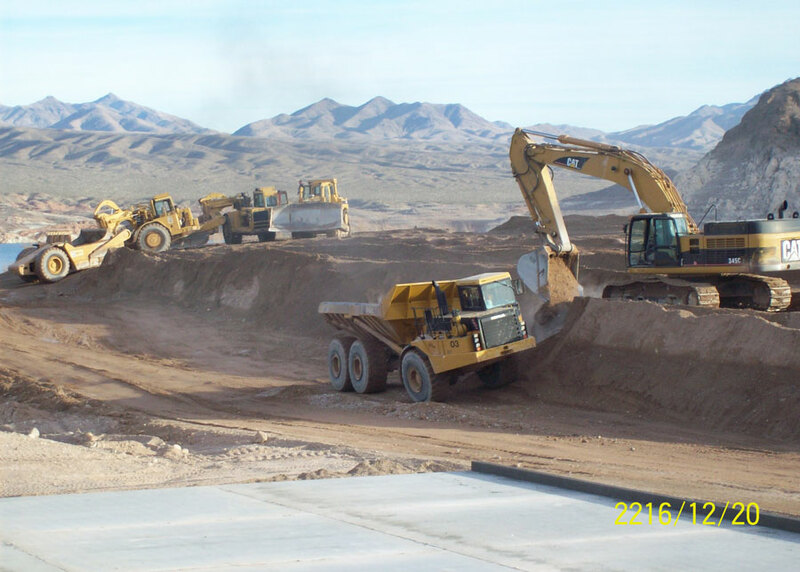 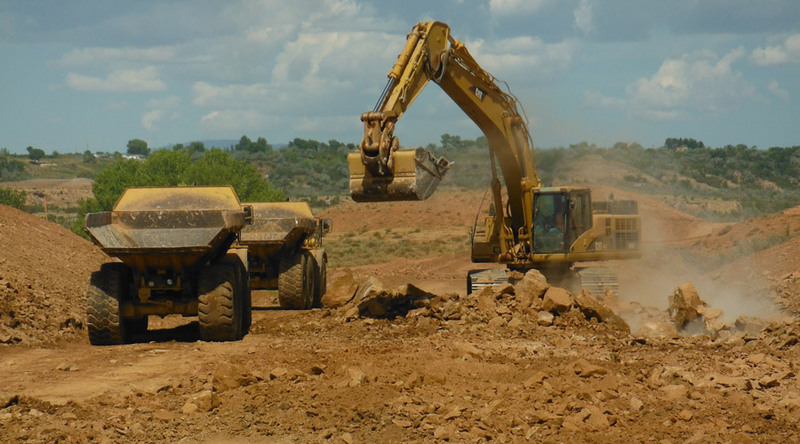 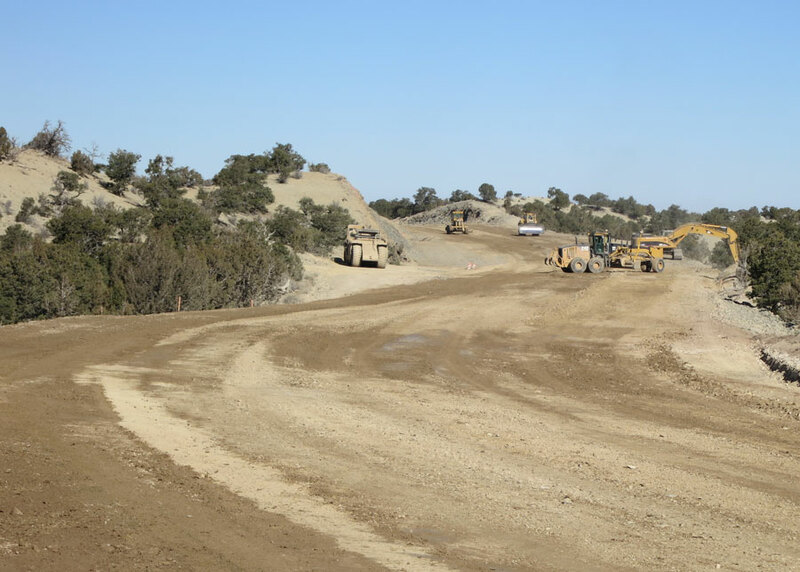 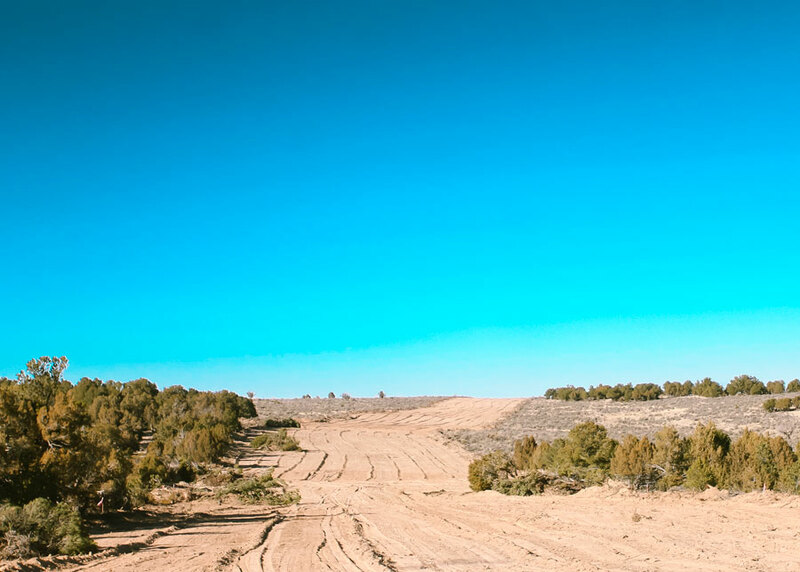 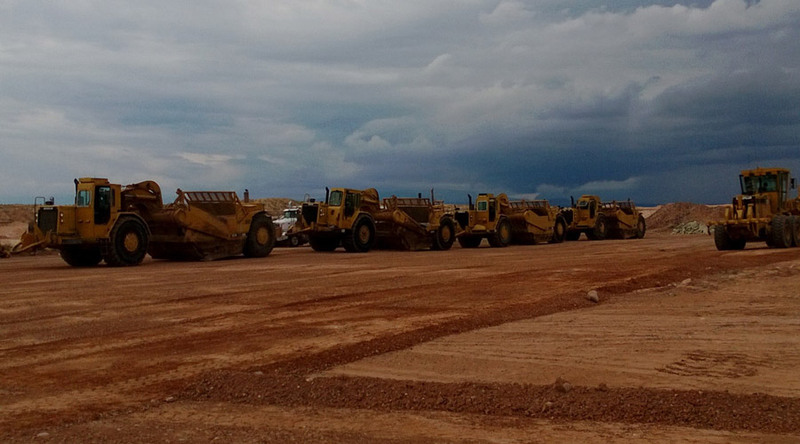 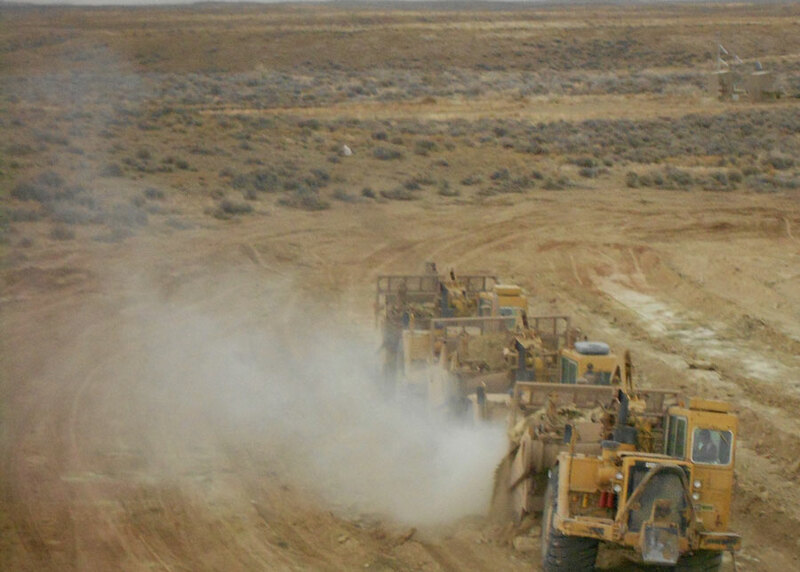 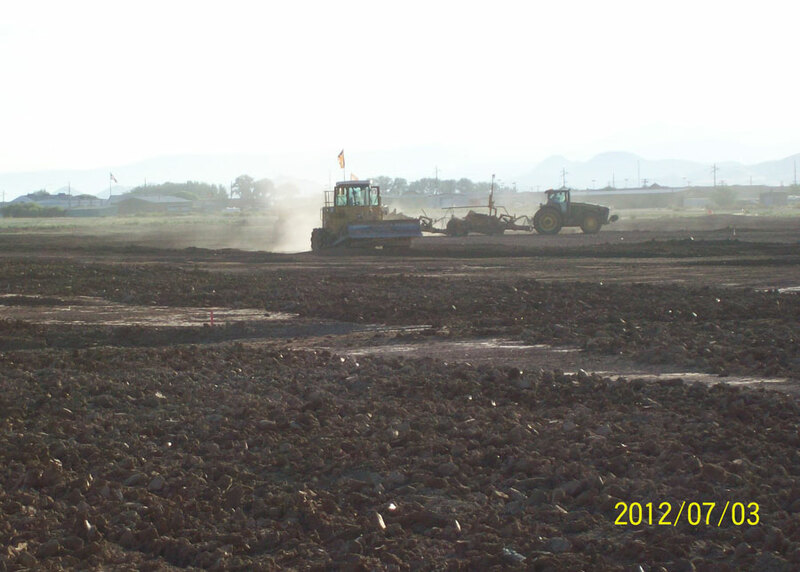 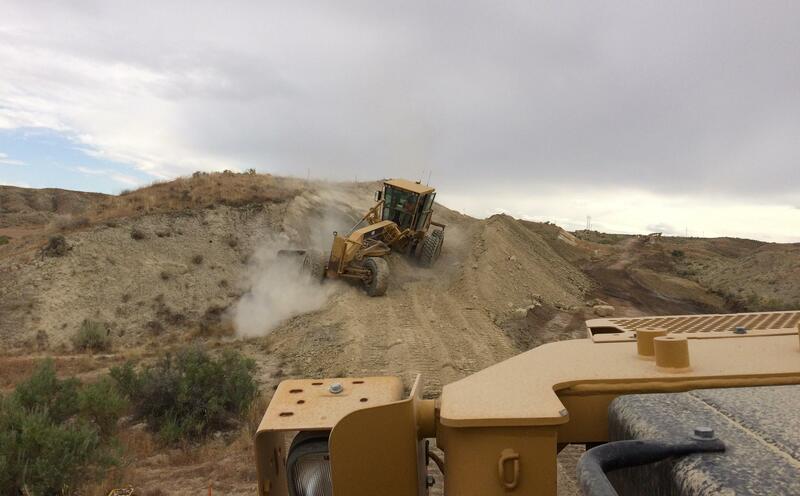 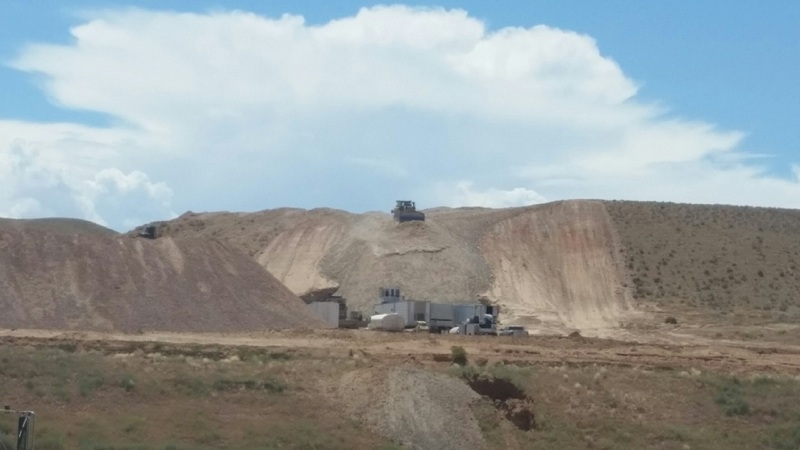 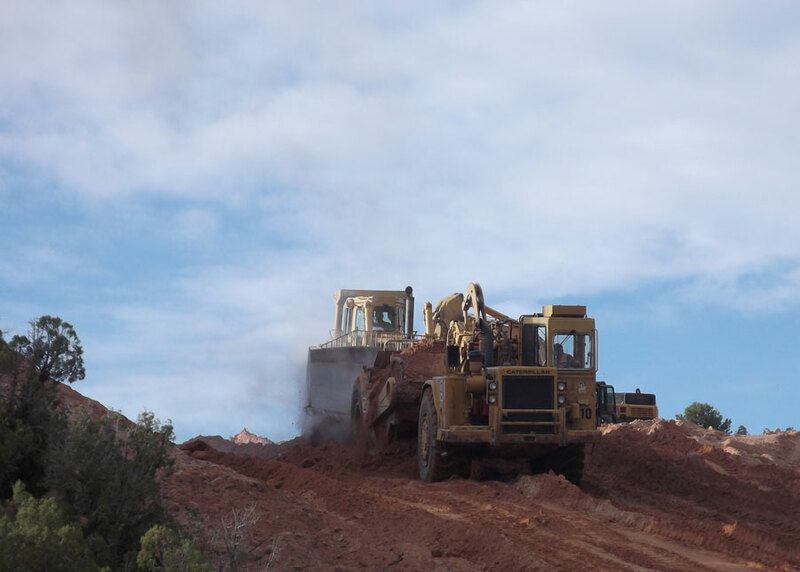 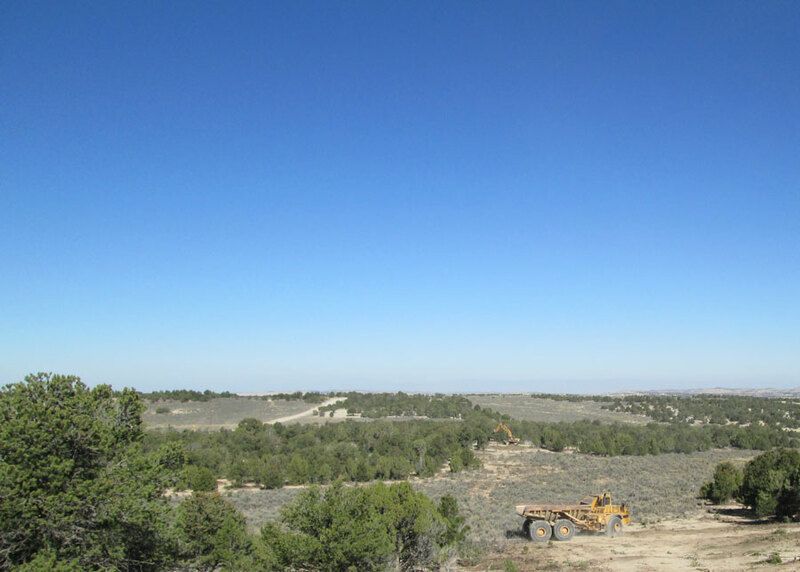 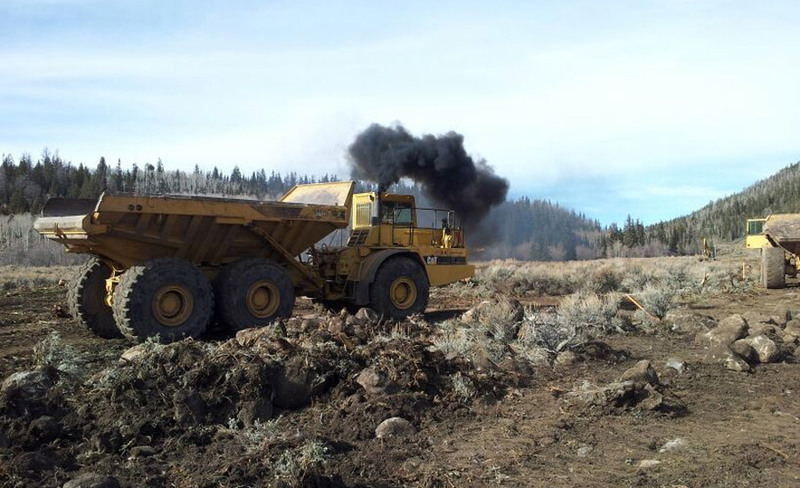 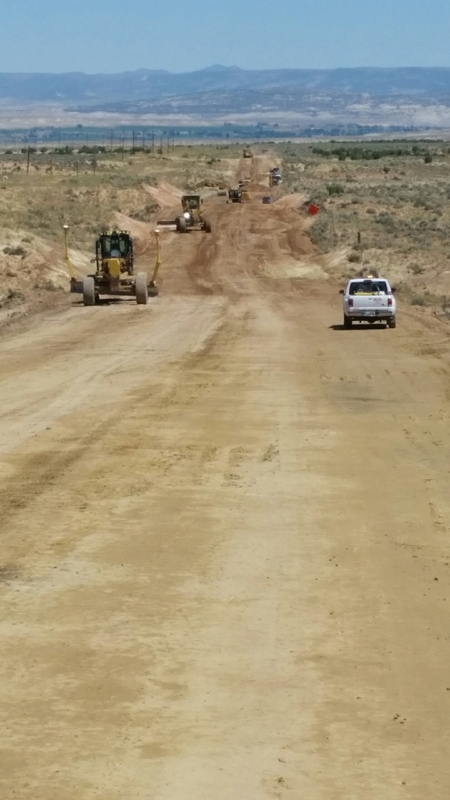 Project Description Grading and drainage for approximately 7.63 miles of roadway As well as road construction including granular borrow, roadway excavation, cross culverts, approach roads and other associated work. 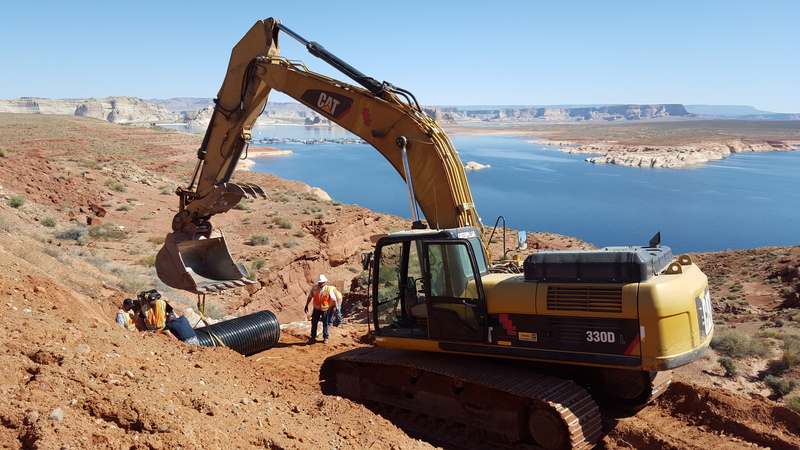 Project Description Construction of extensions to ferry ramps at Halls Crossing and Bullforg, including channel excavation, concrete work, and other related work. 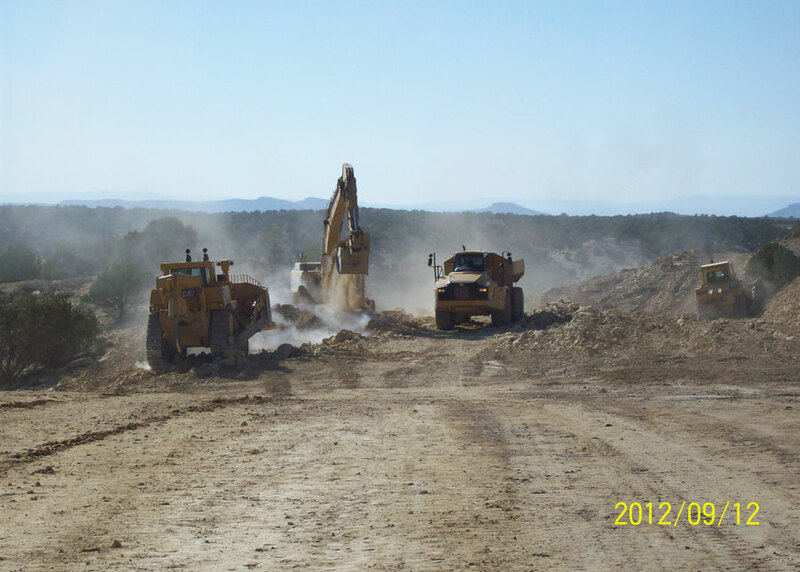 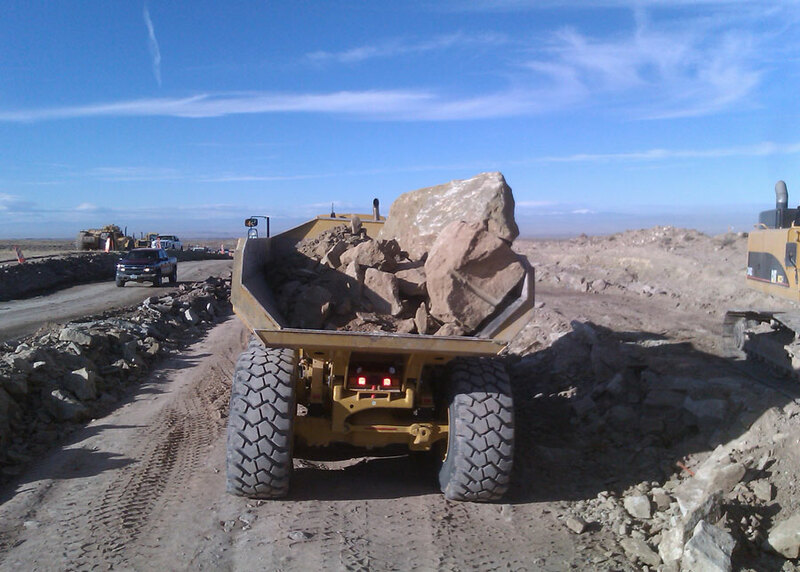 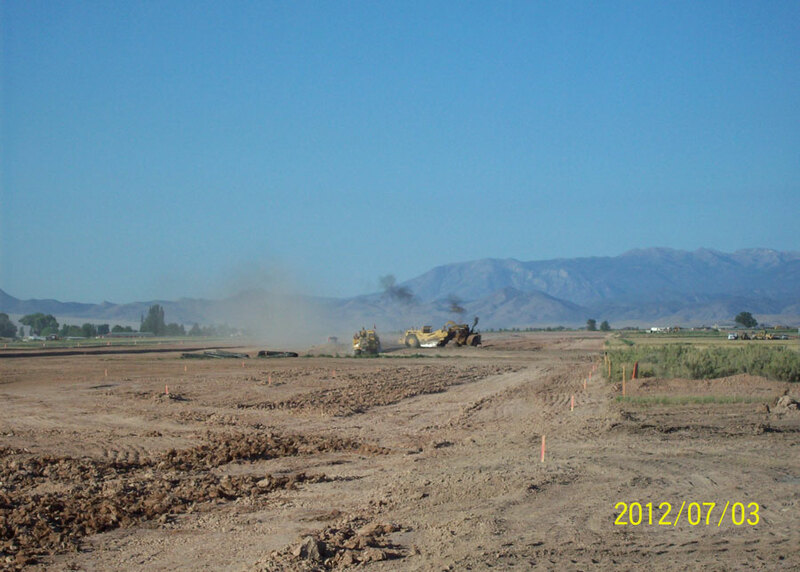 Project Description Reconstruction and widening of approximately 3.5 miles of roadway. 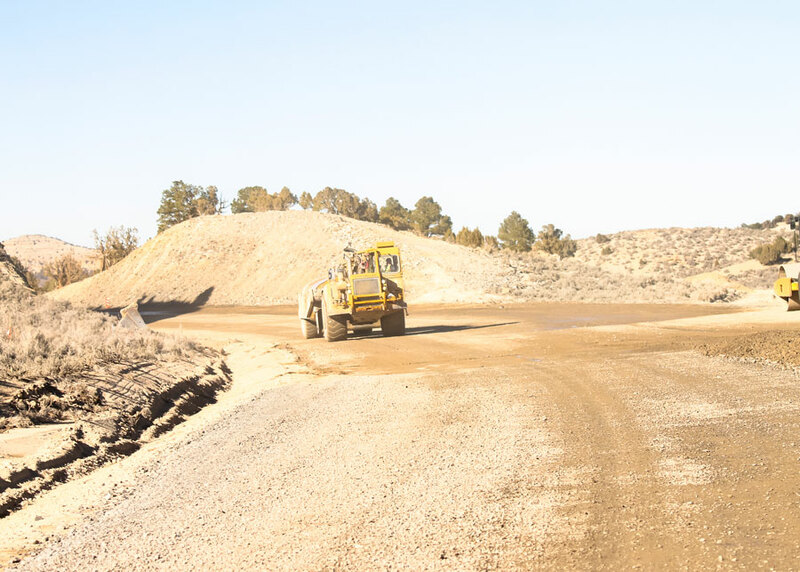 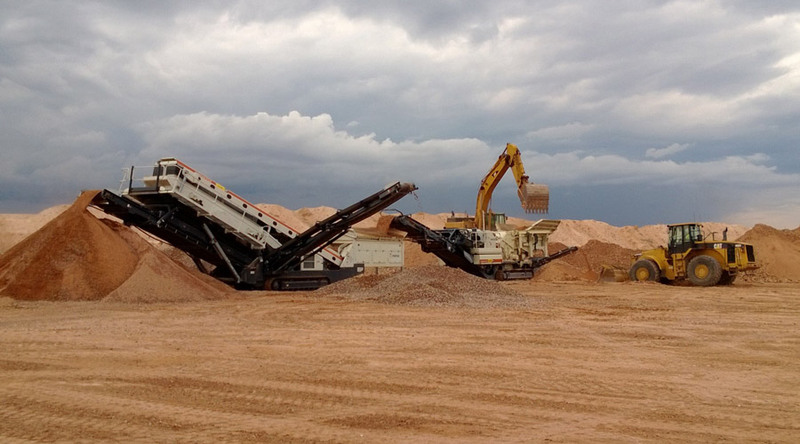 Project involves approximately 28,223 cubic yards of granular borrow, 31,187 cubic yards of roadway excavation, 11,935 cubic yards of untreated base course, 14,479 tons of HMA, 45,173 square yards of rotomilling and other associated work. 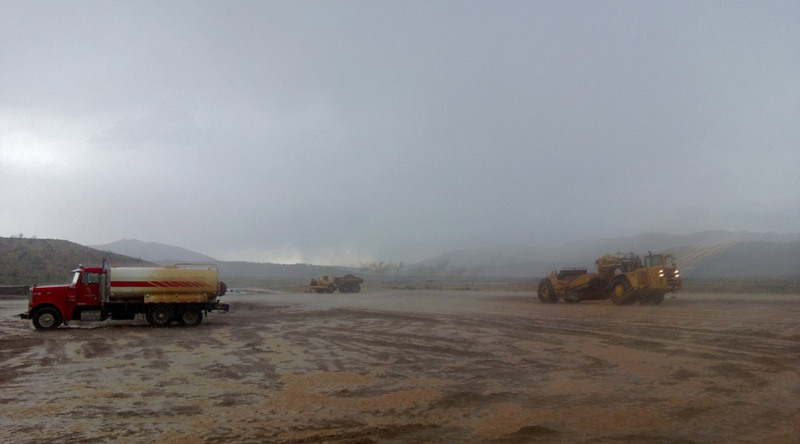 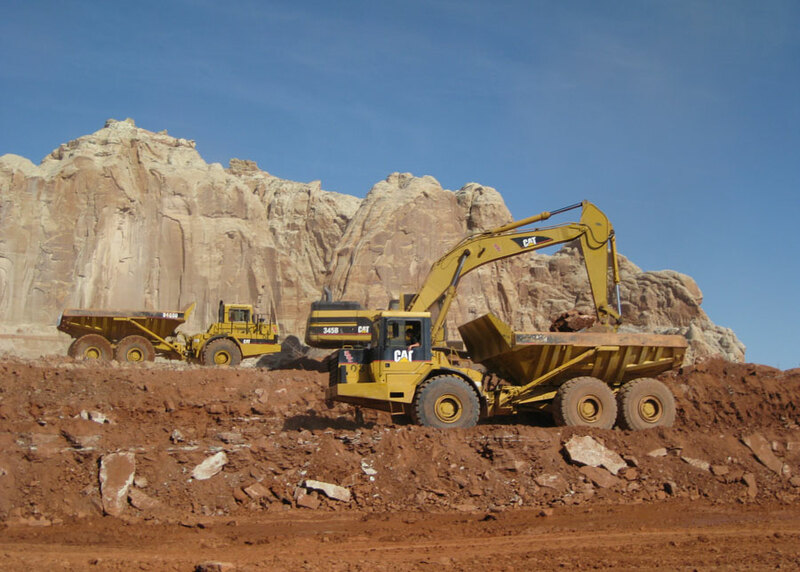 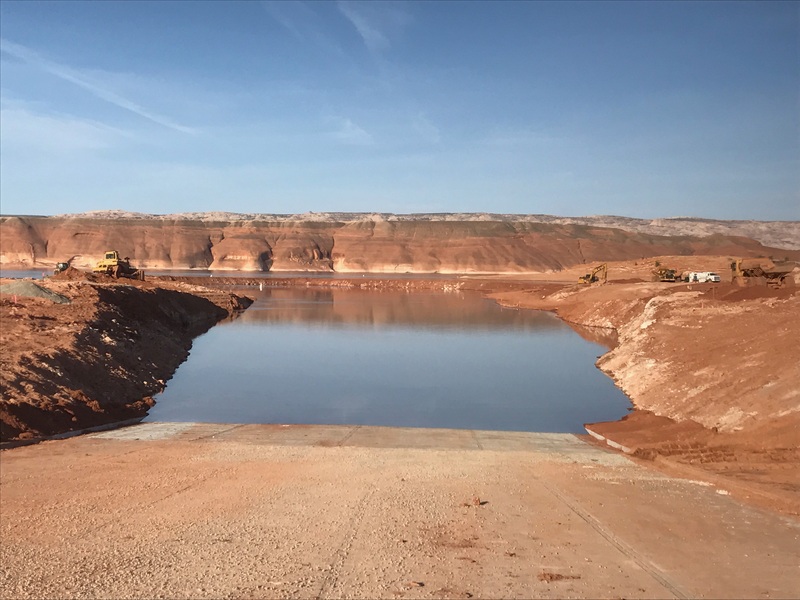 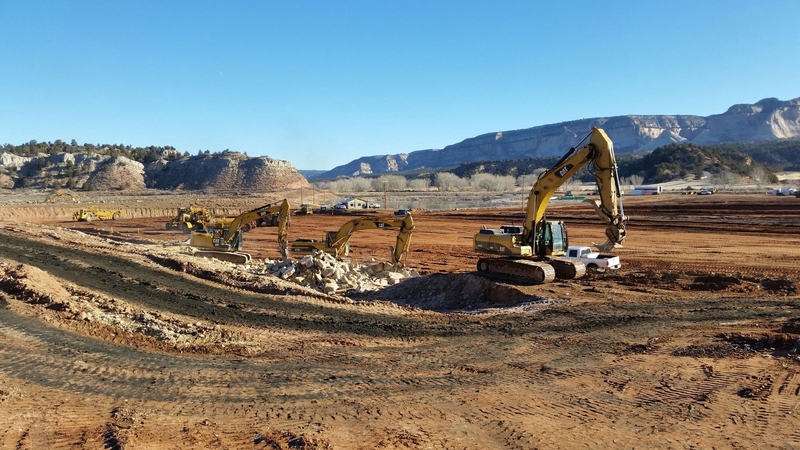 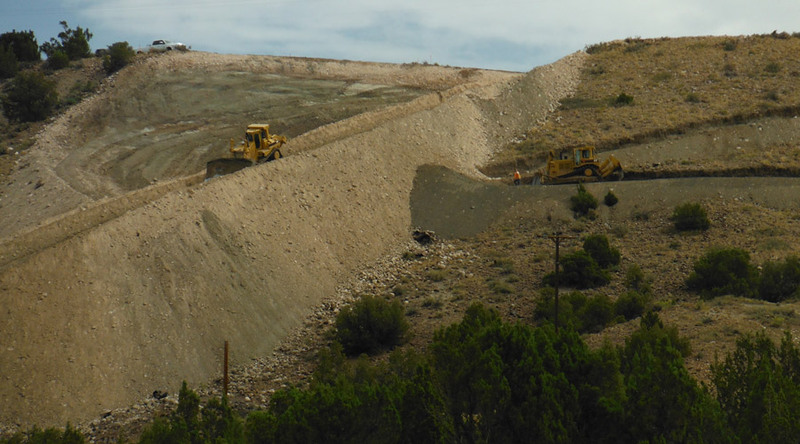 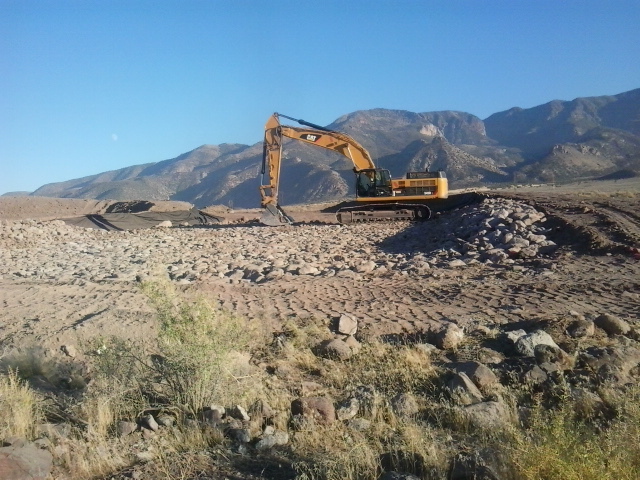 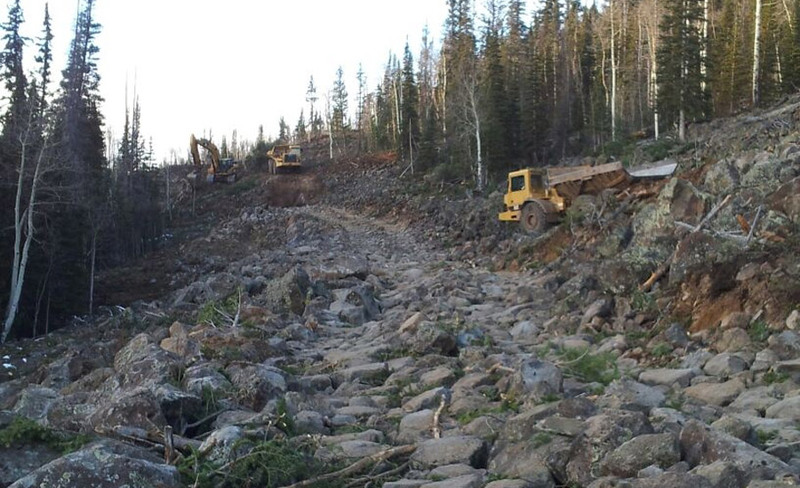 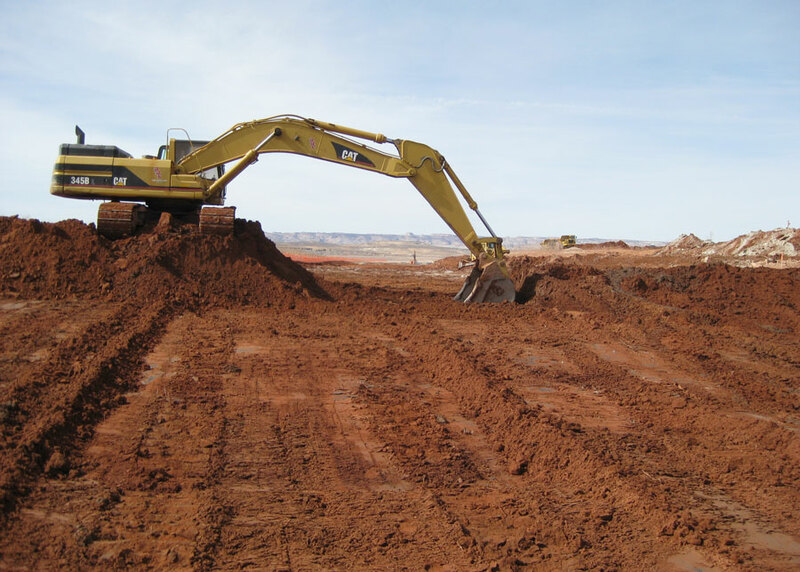 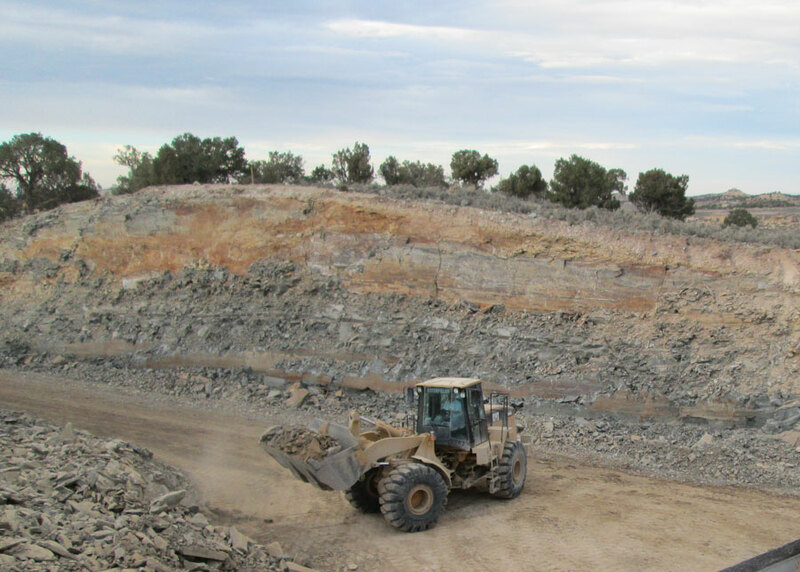 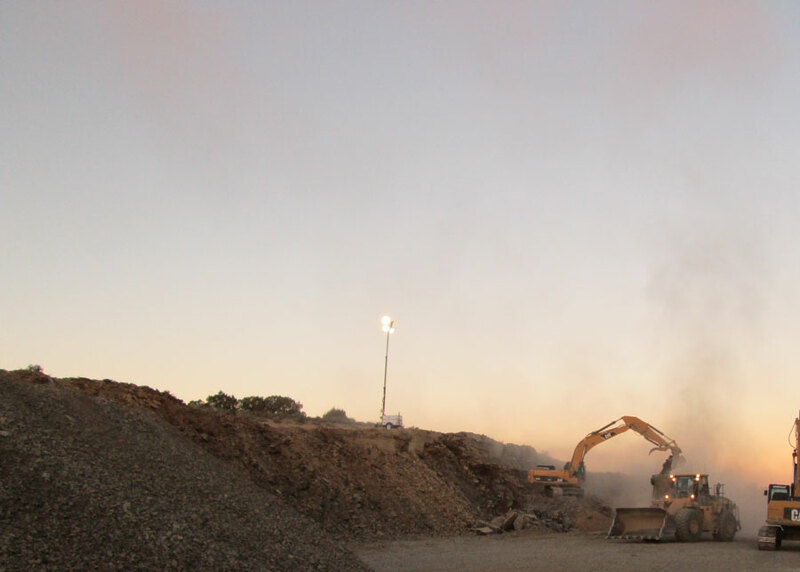 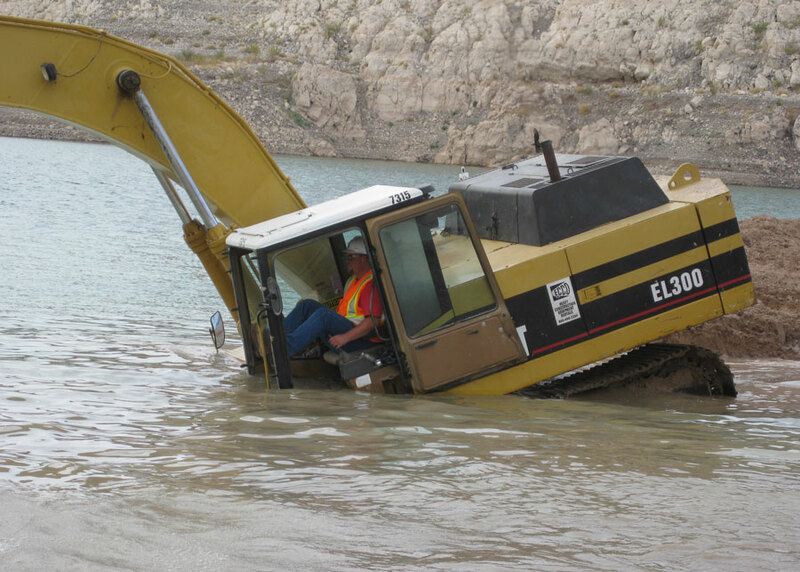 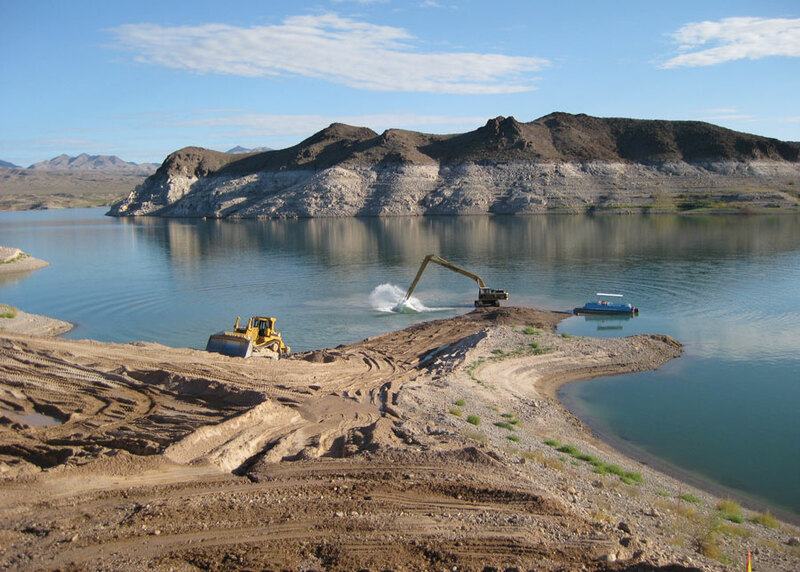 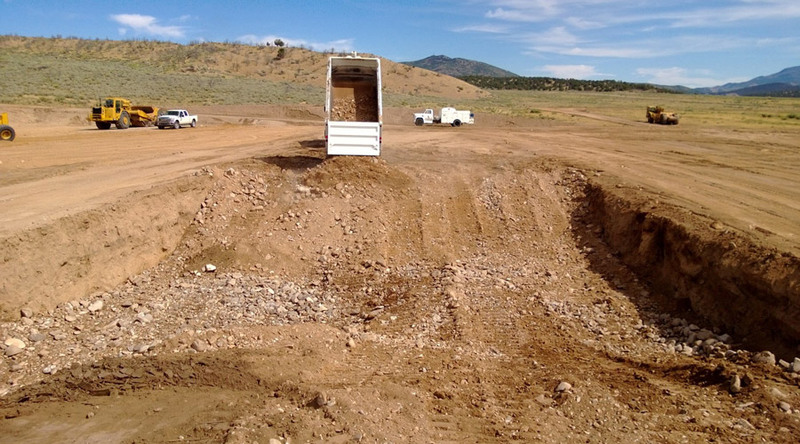 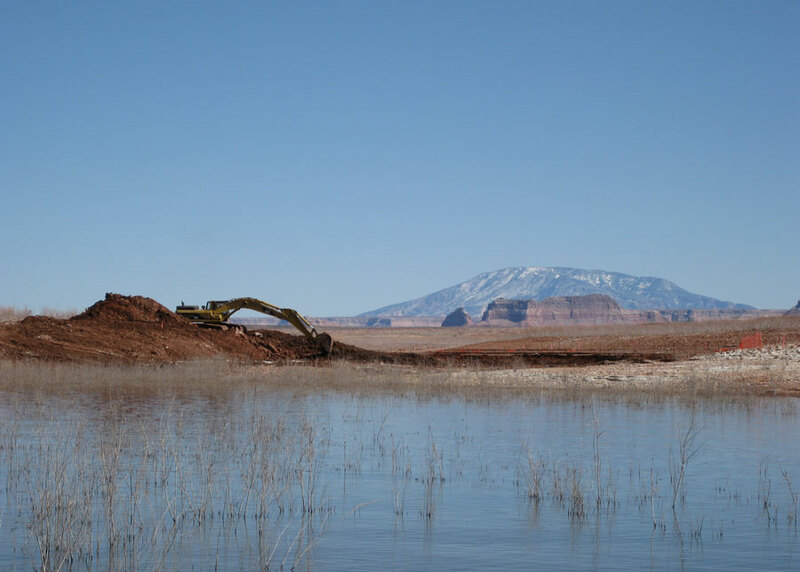 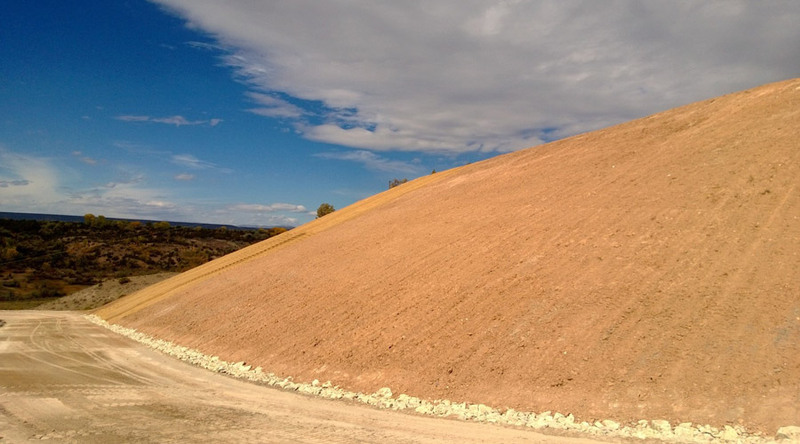 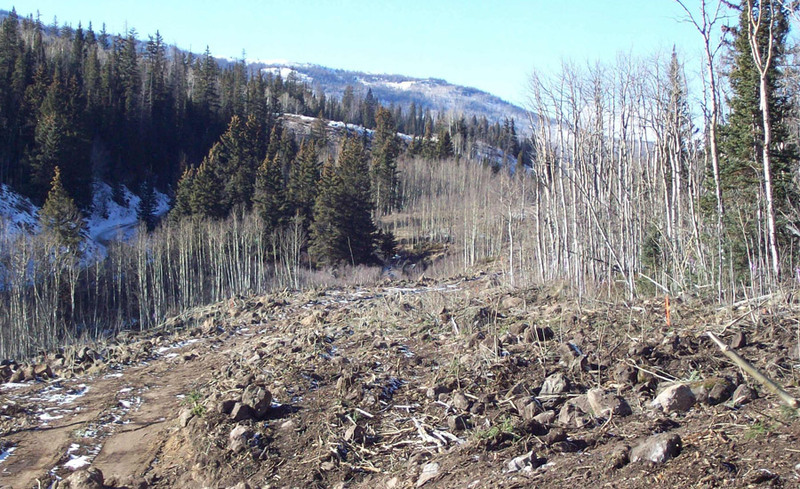 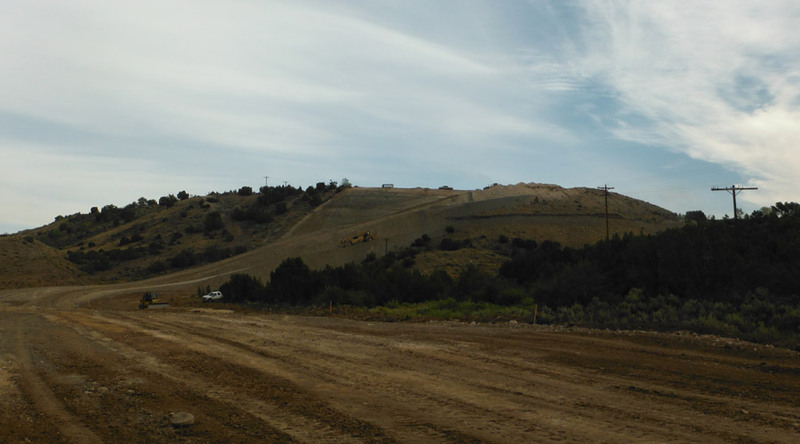 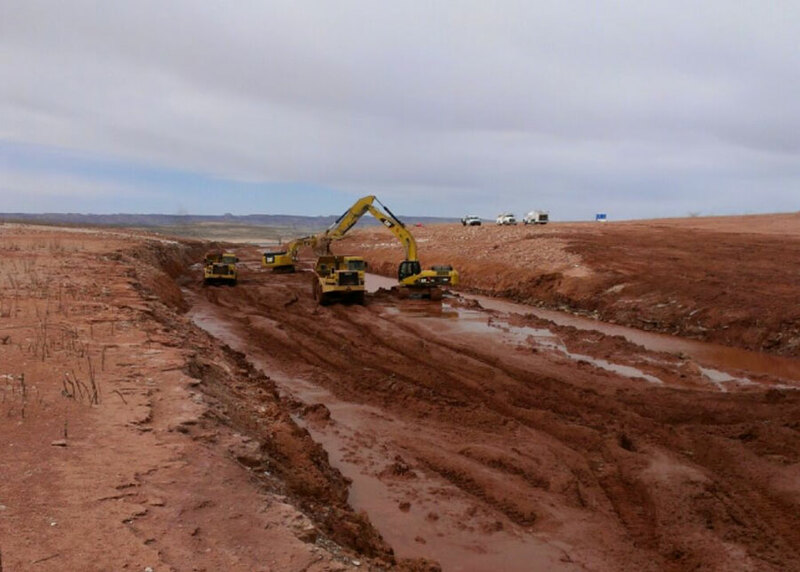 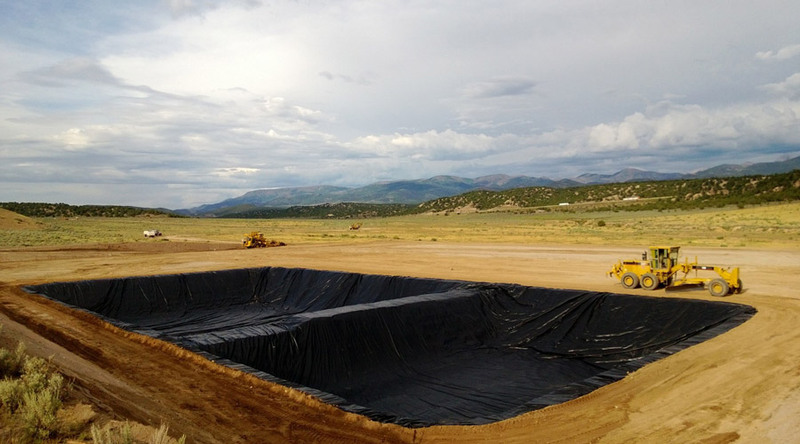 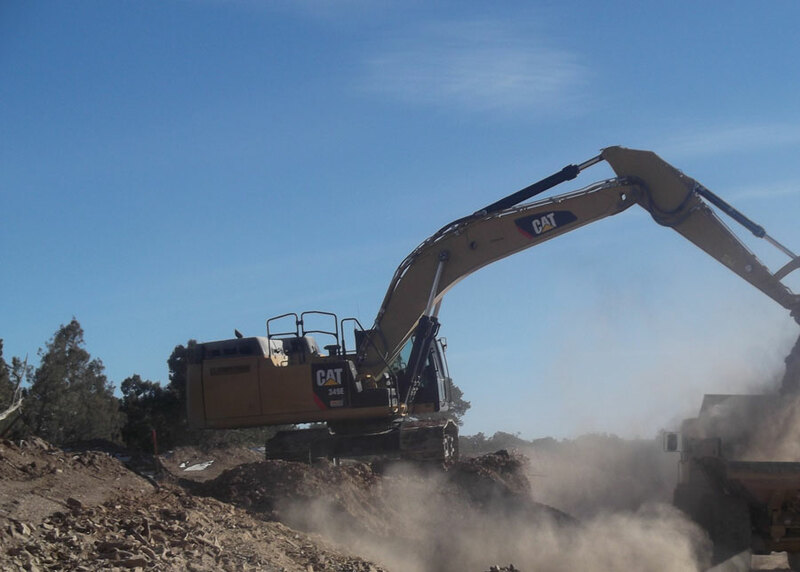 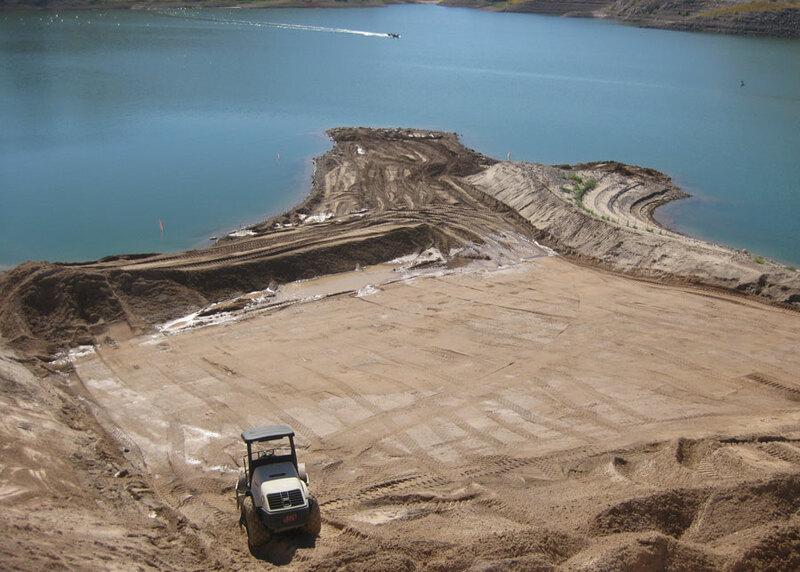 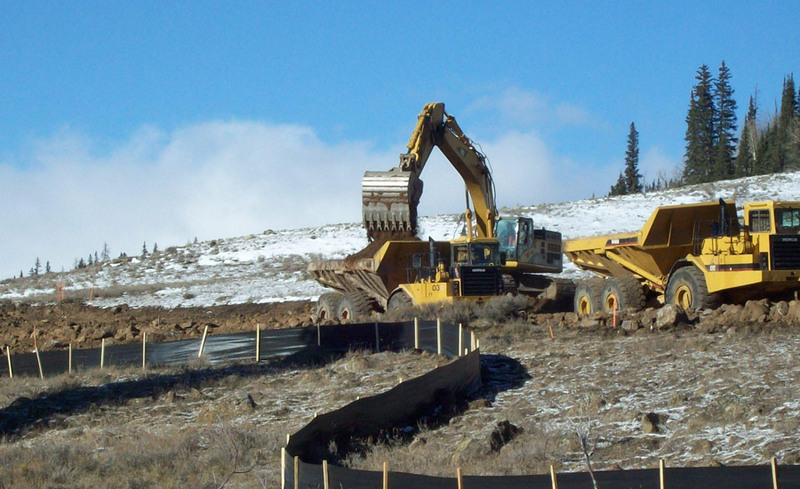 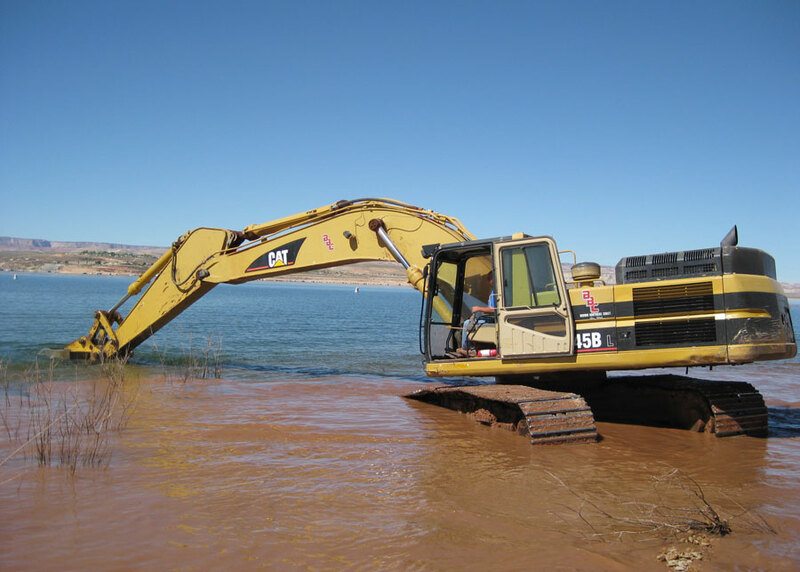 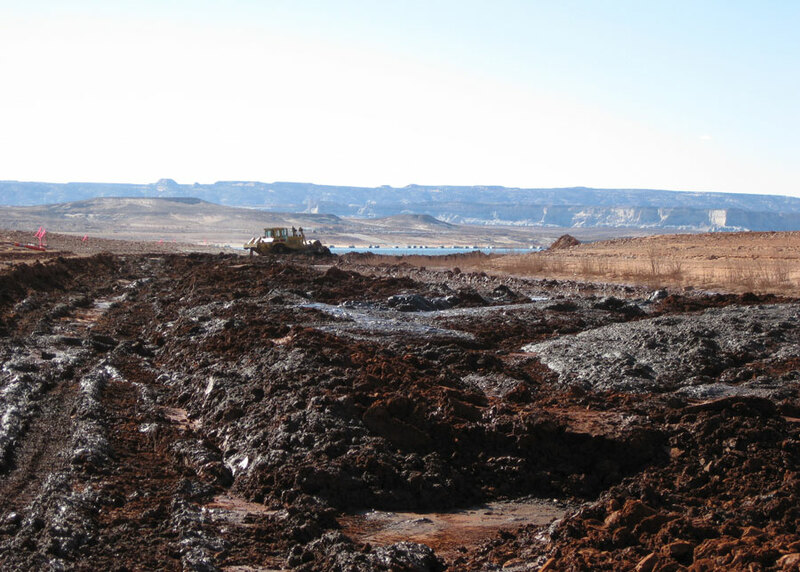 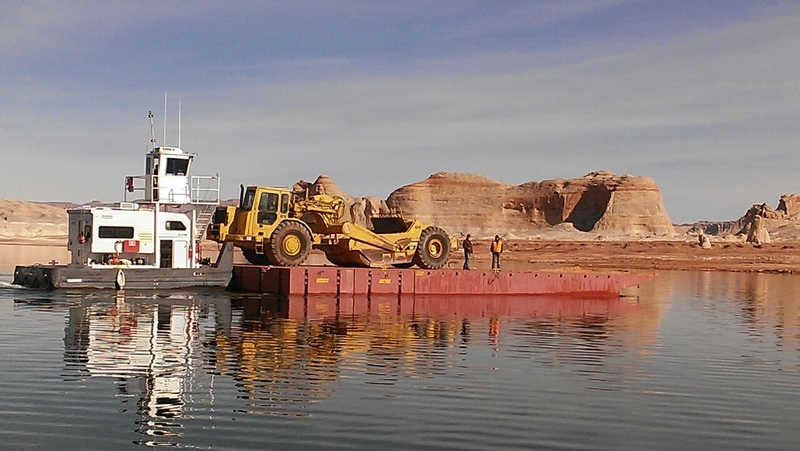 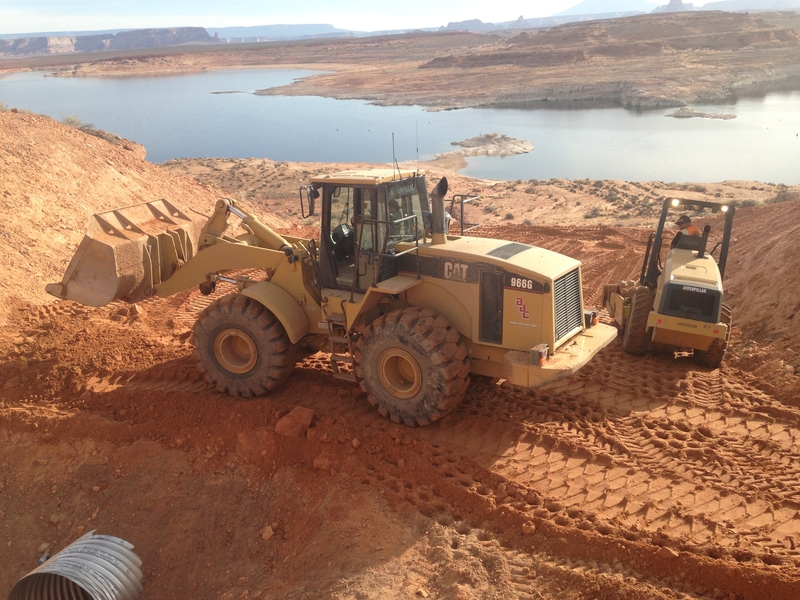 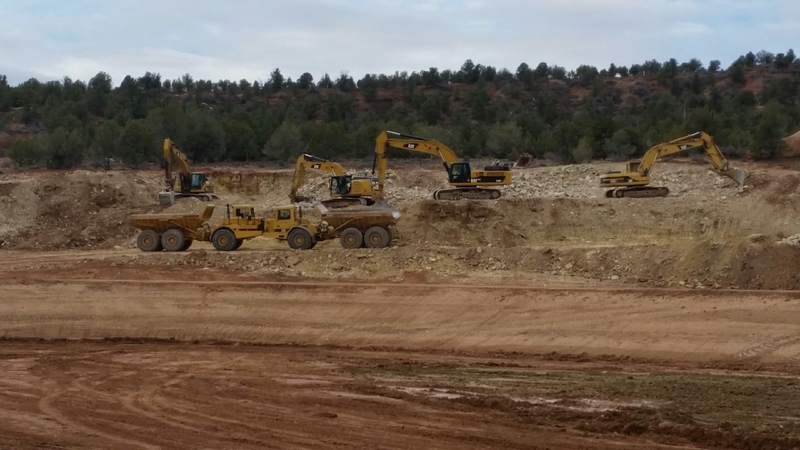 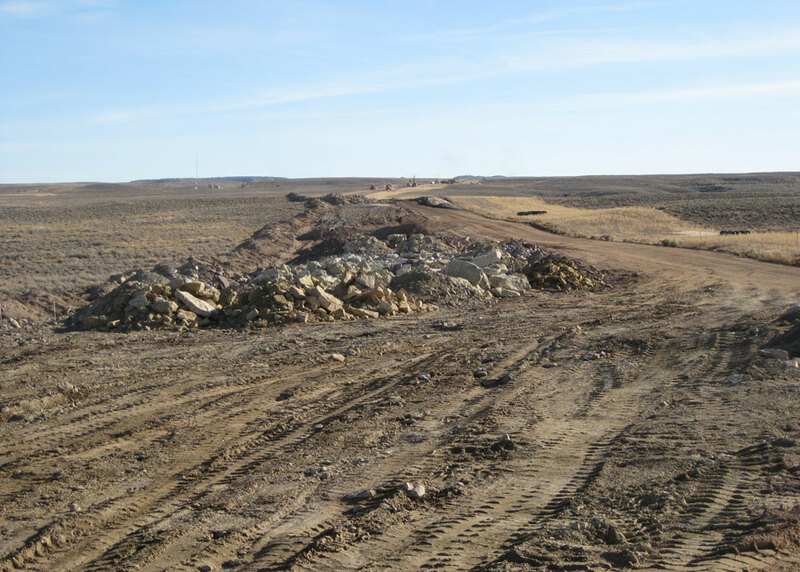 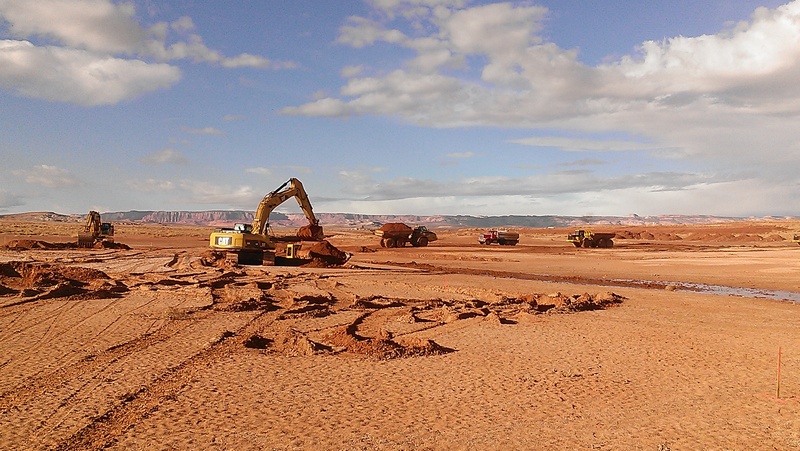 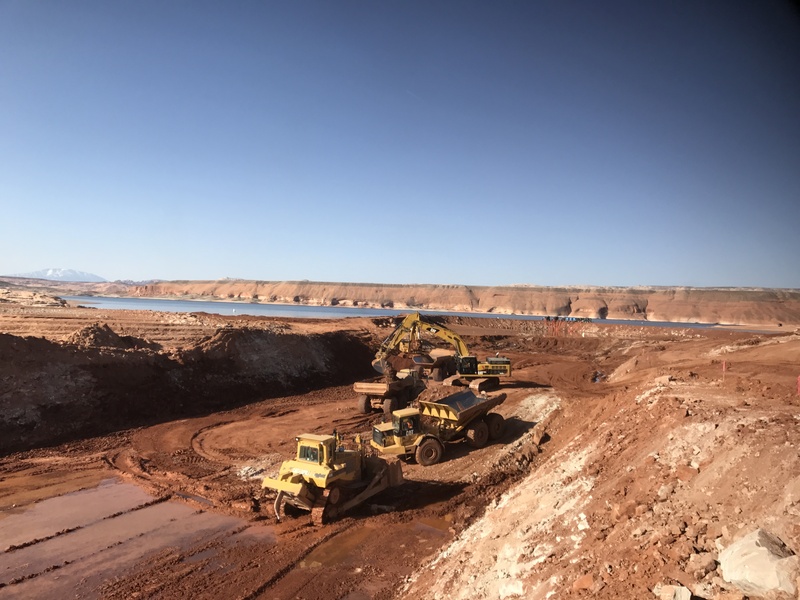 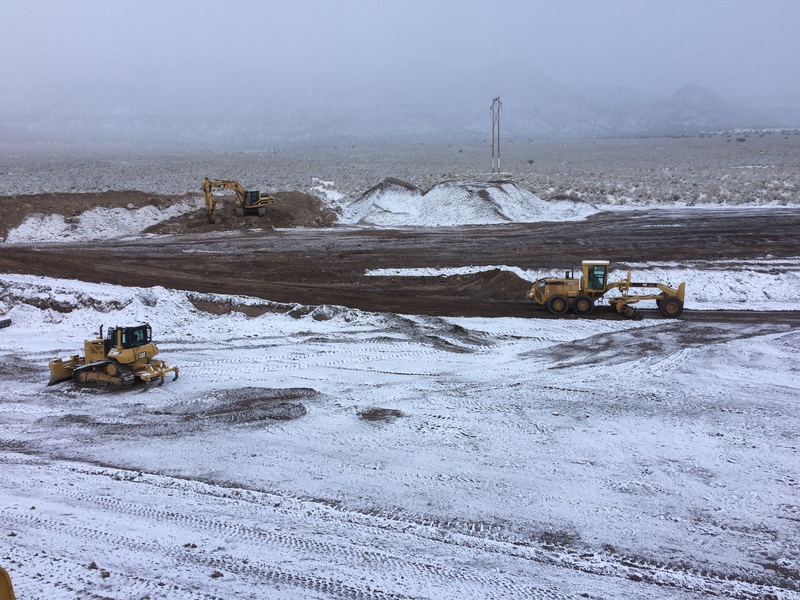 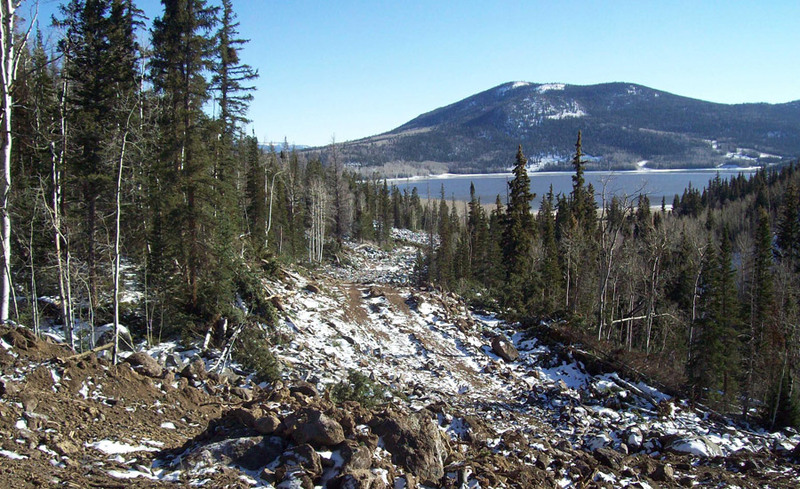 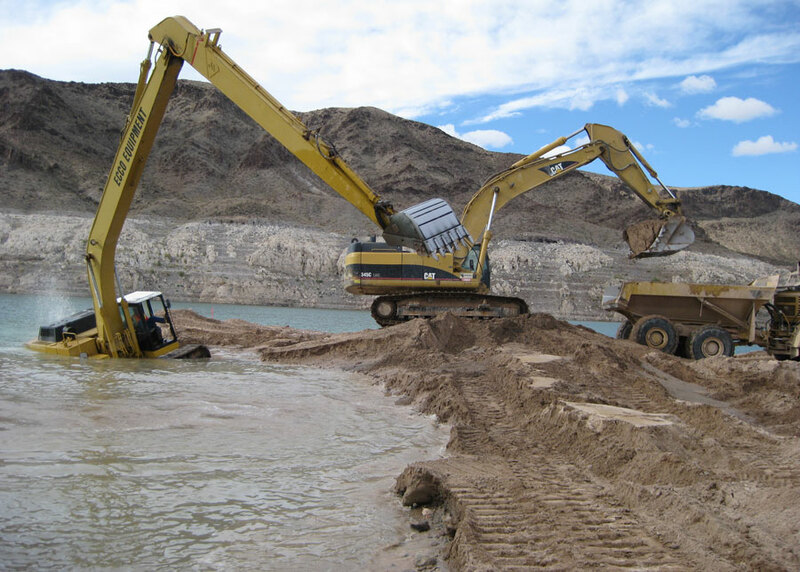 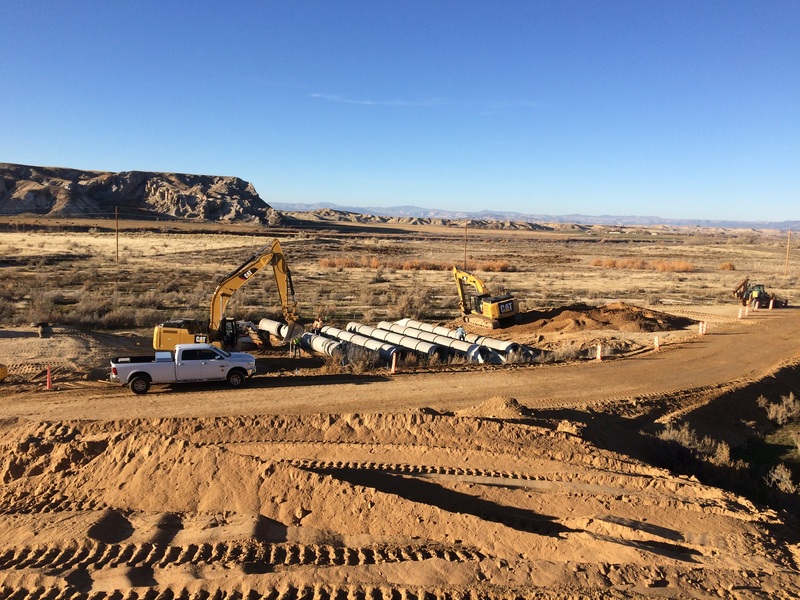 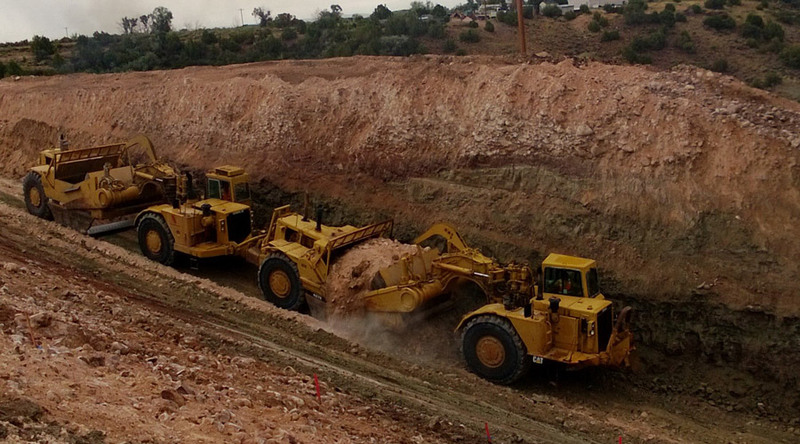 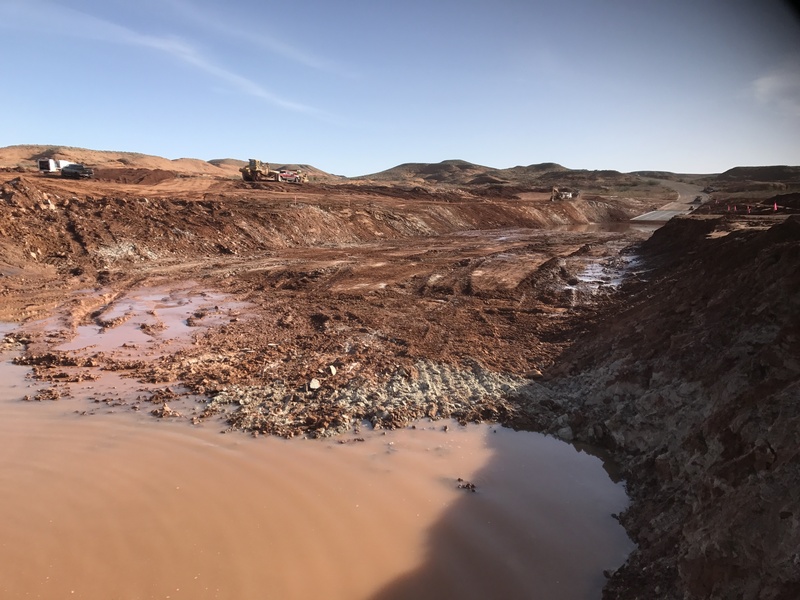 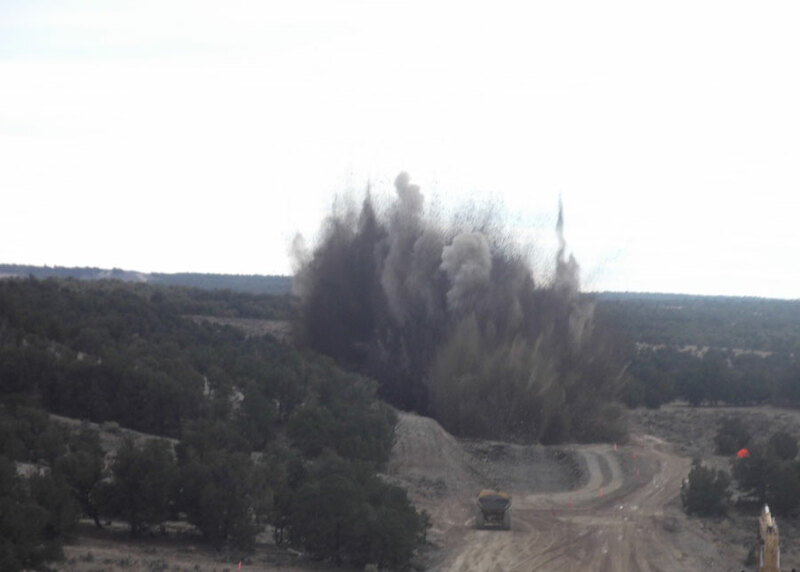 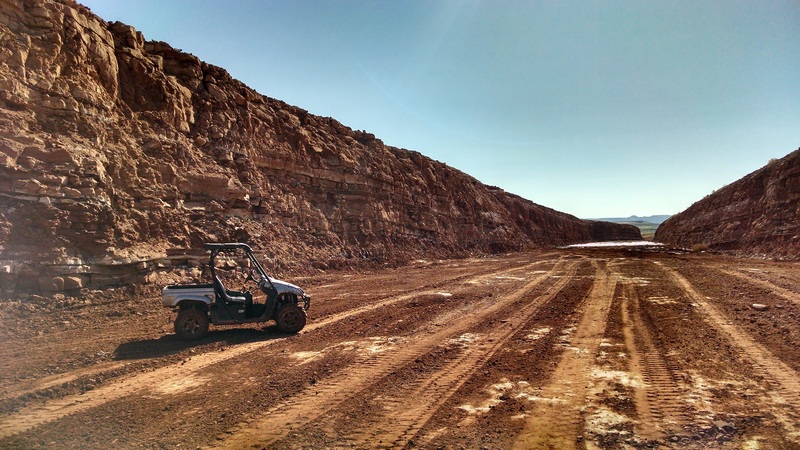 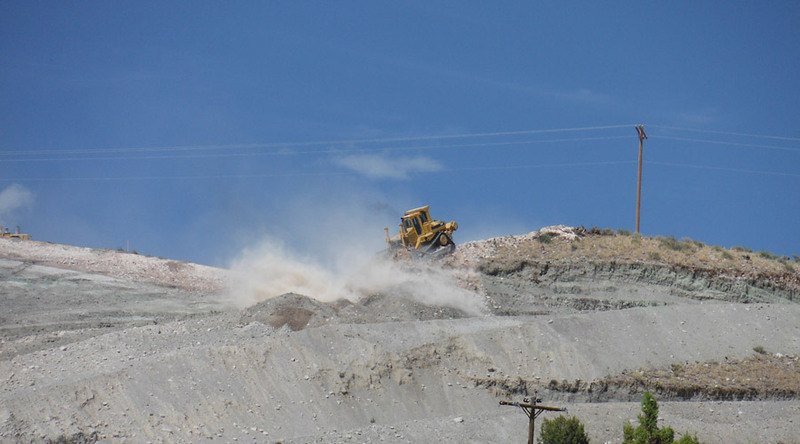 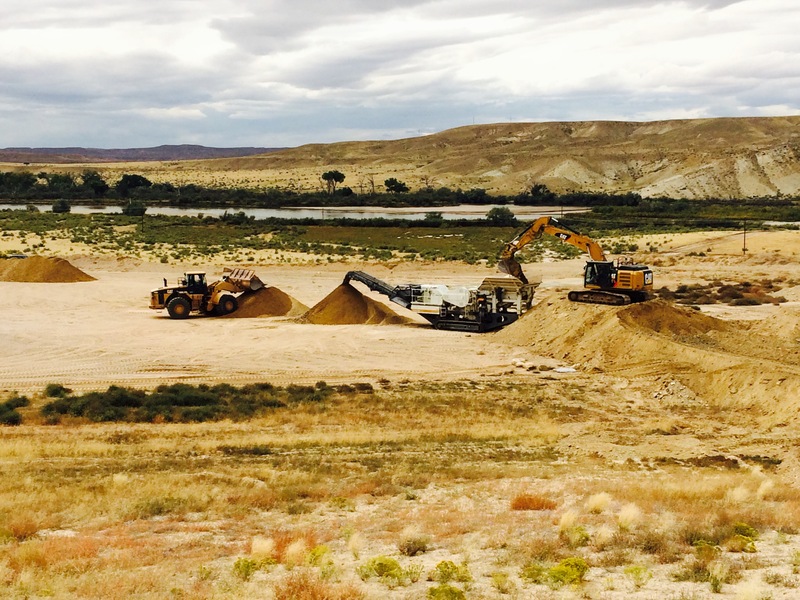 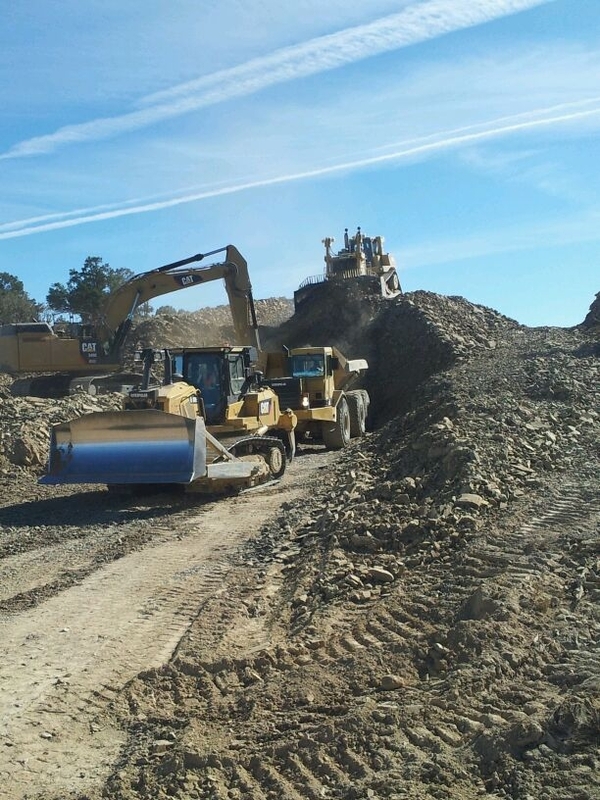 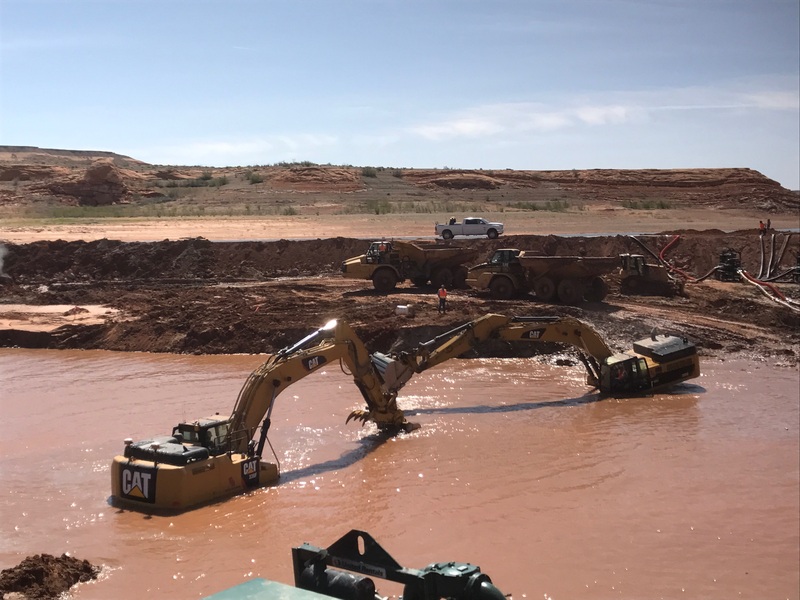 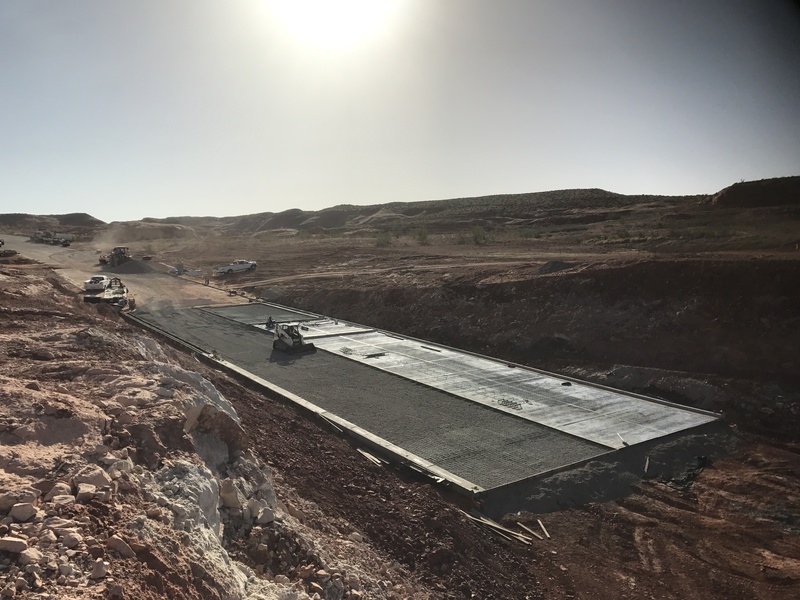 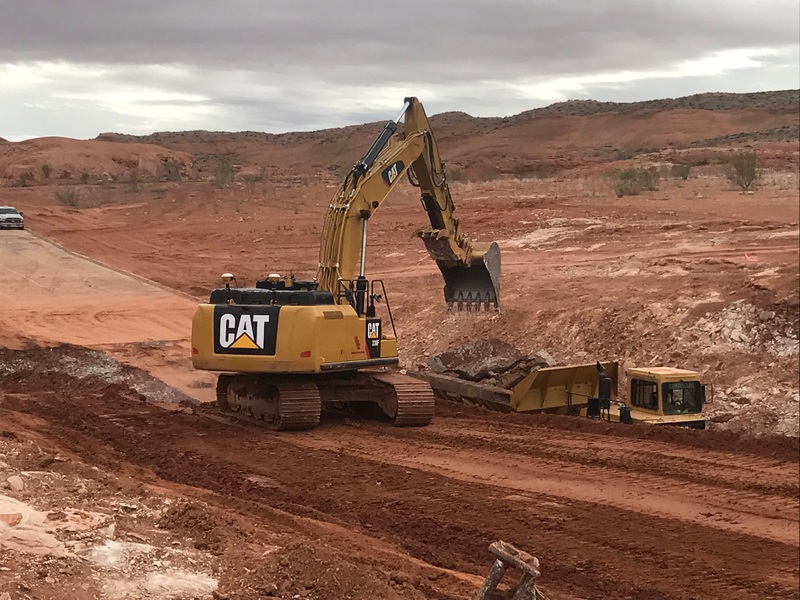 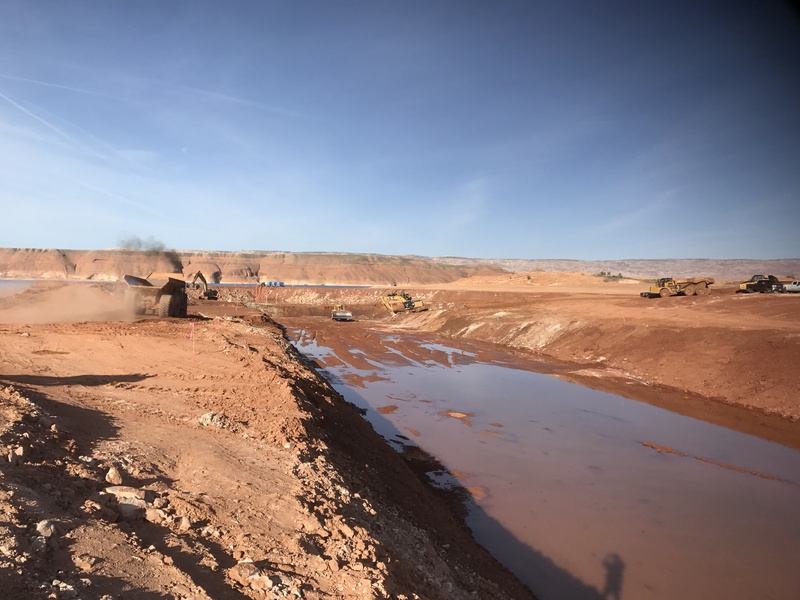 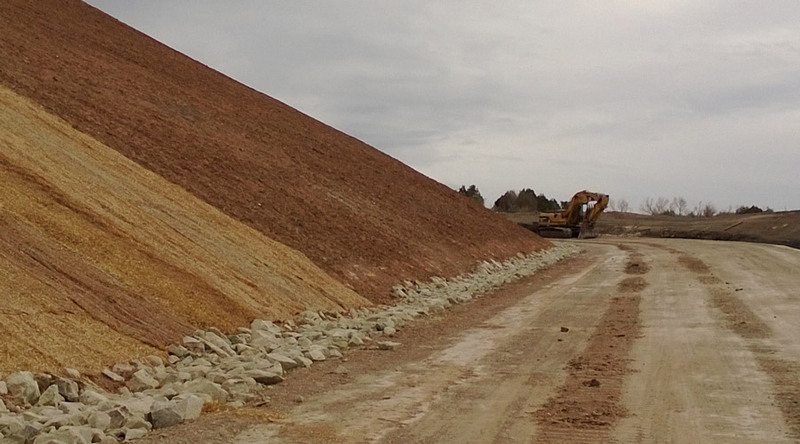 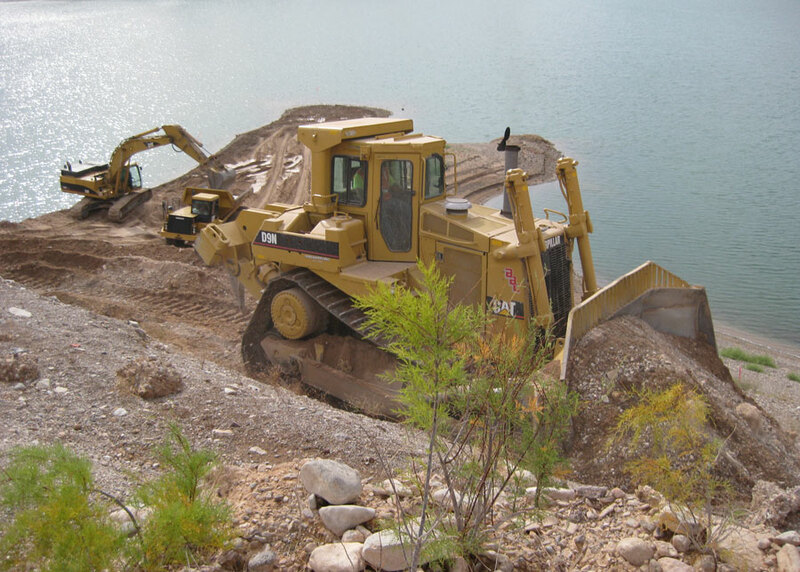 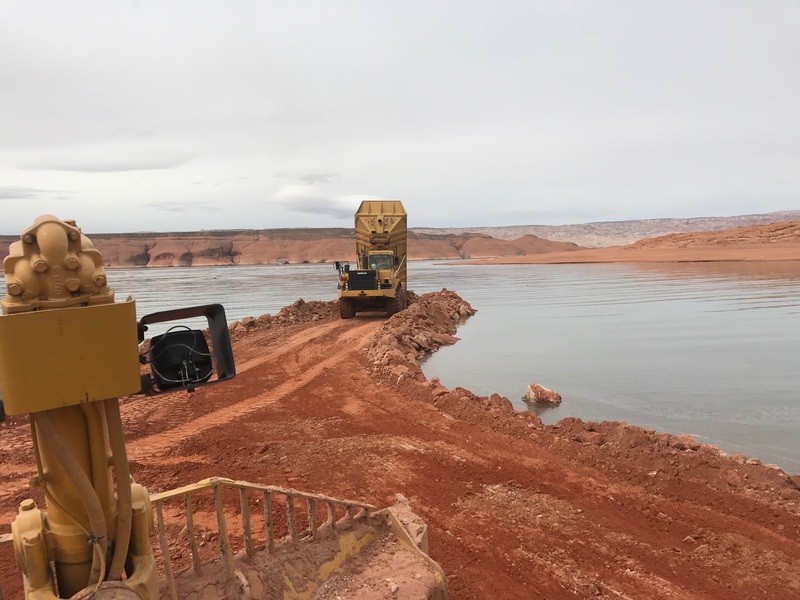 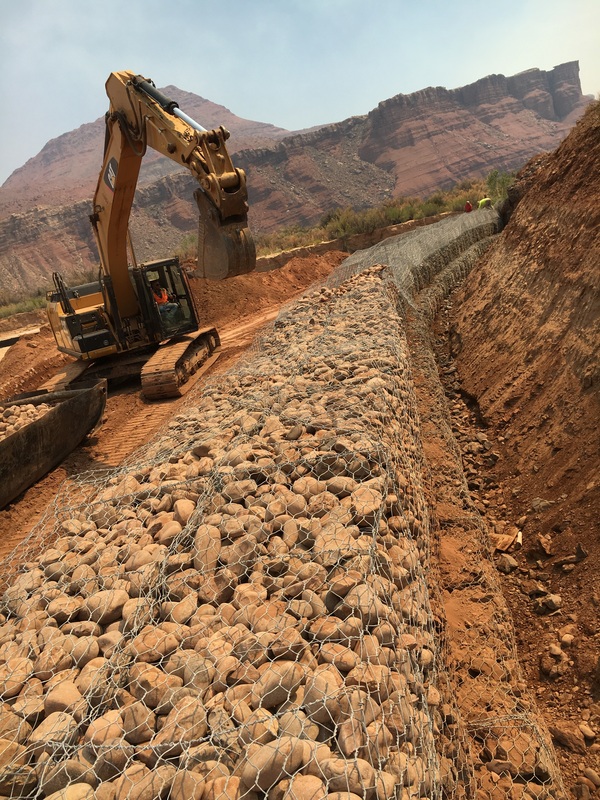 Project Description Clearing and grubbing, 67,400 cubic yards compacted embankment, 8,500 cubic yards riprap, concrete structures, 650 linear feet. 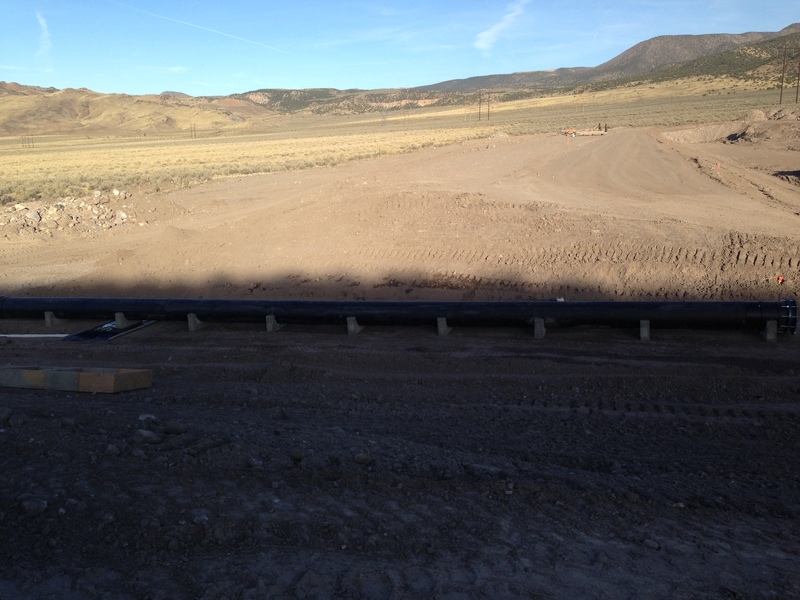 HDPE pipe, 1,200 linear feet CPE pipe, 11,000 linear feet earthen channel, 6,100 linear feet stock-tight fence, seeding, and related work. 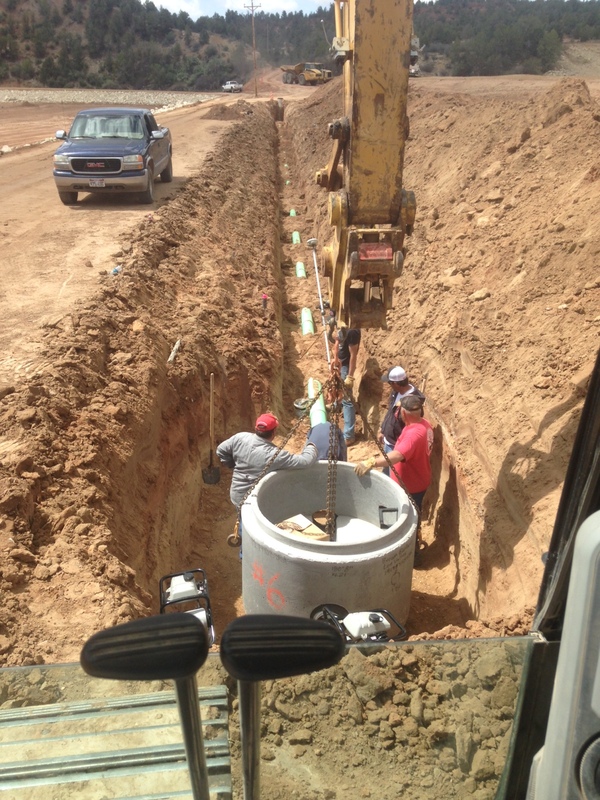 Project Description Construction of access road and rig foundation at the Glencove Federal 1-1 location. 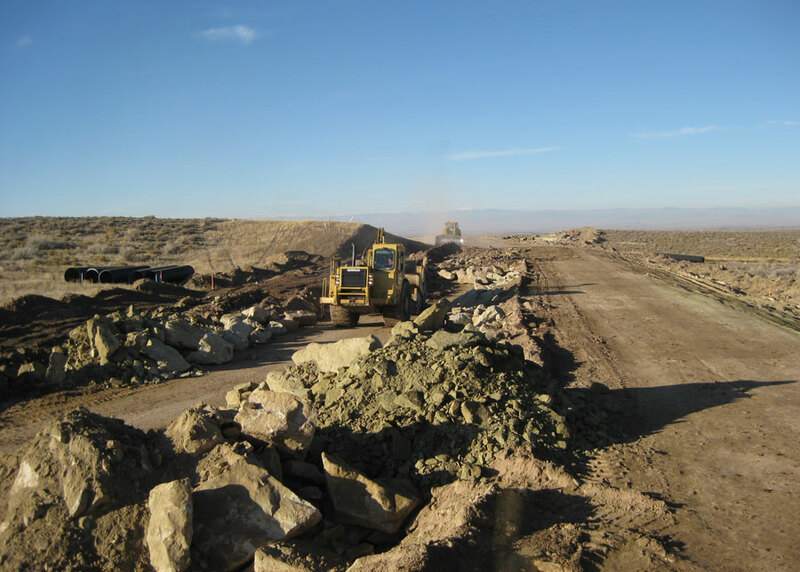 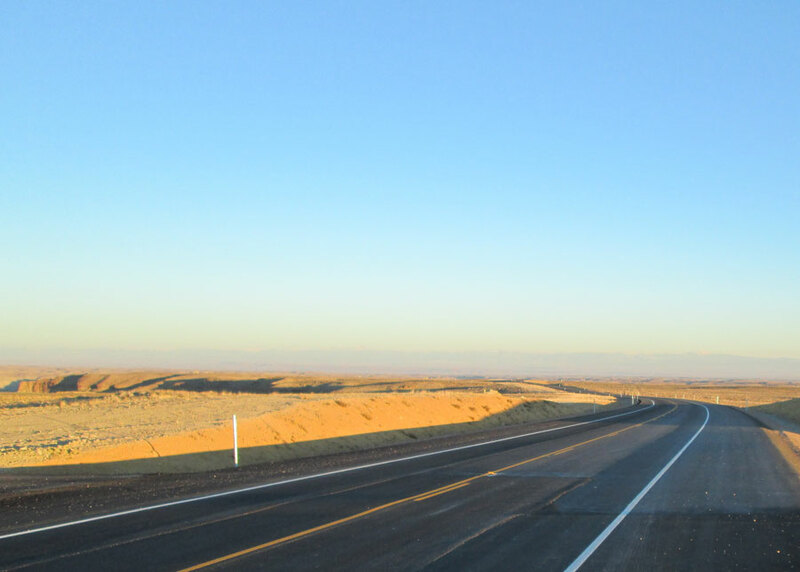 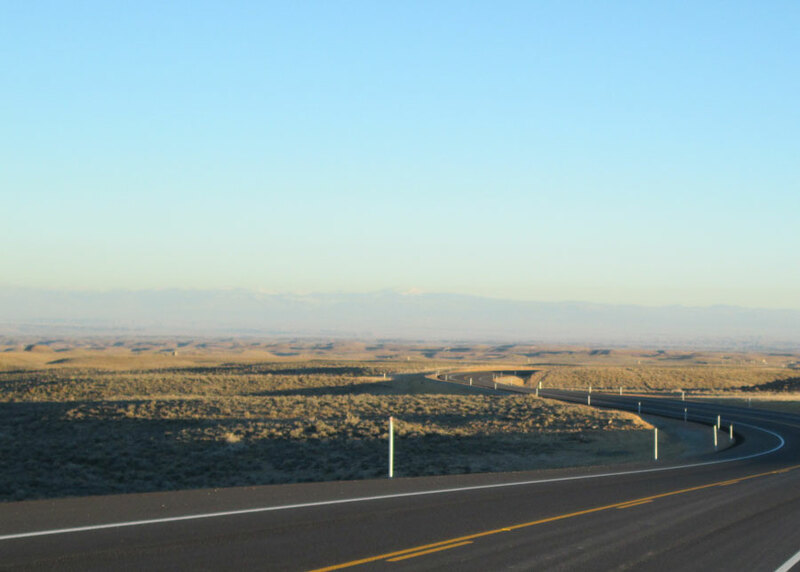 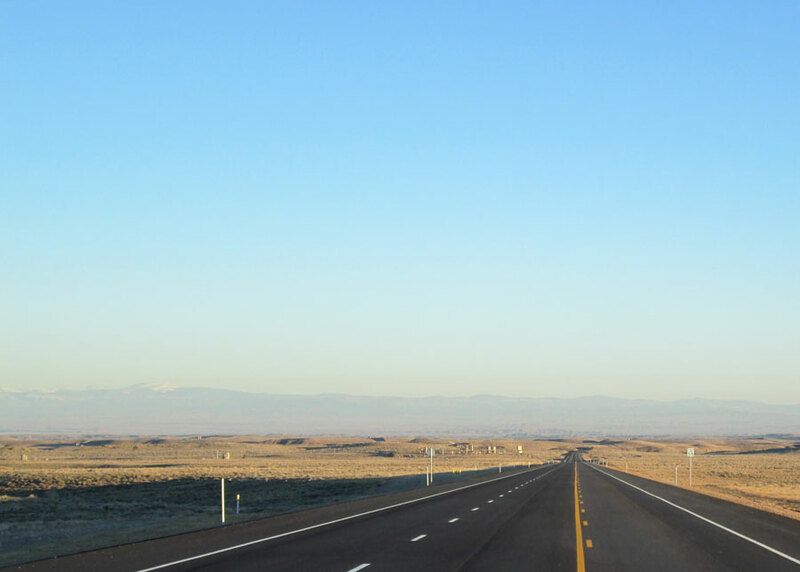 Project Description Highway Safety Improvement and Roadside Improvements of SR-24 from MP 69.40 to 73.25, including improvements to shoulder and installation of guardrail. 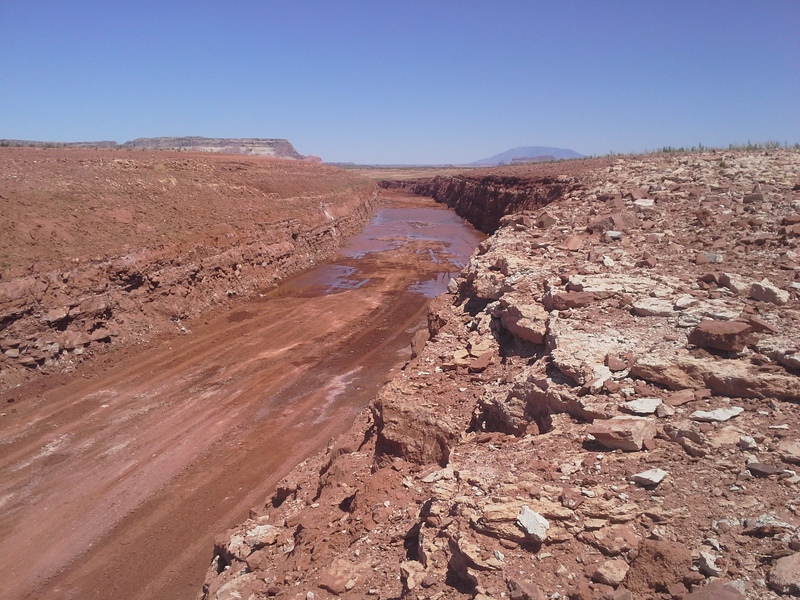 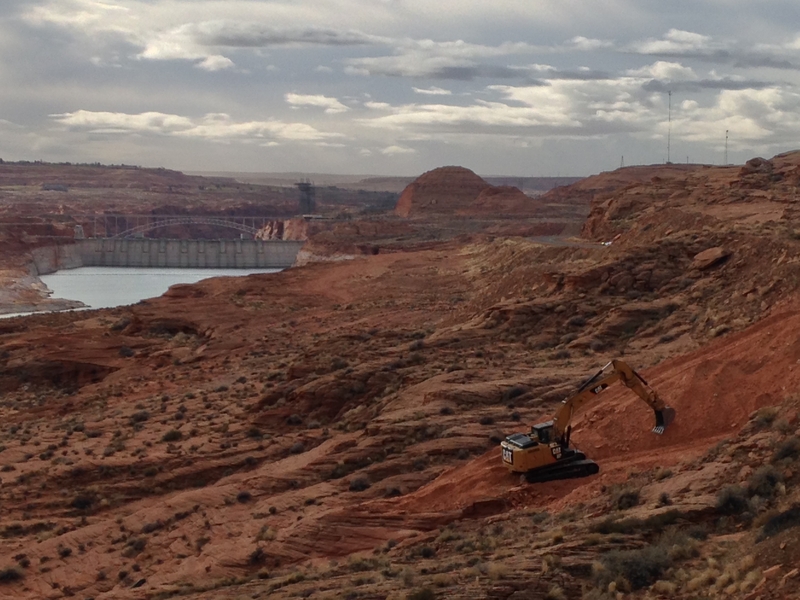 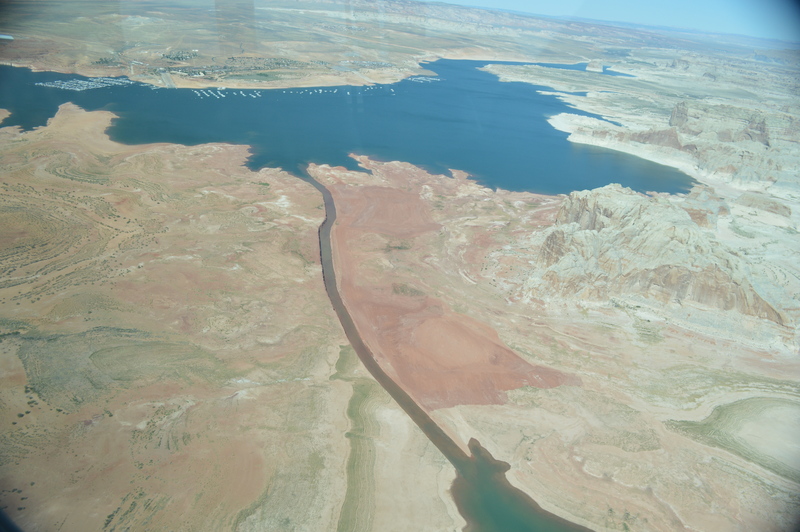 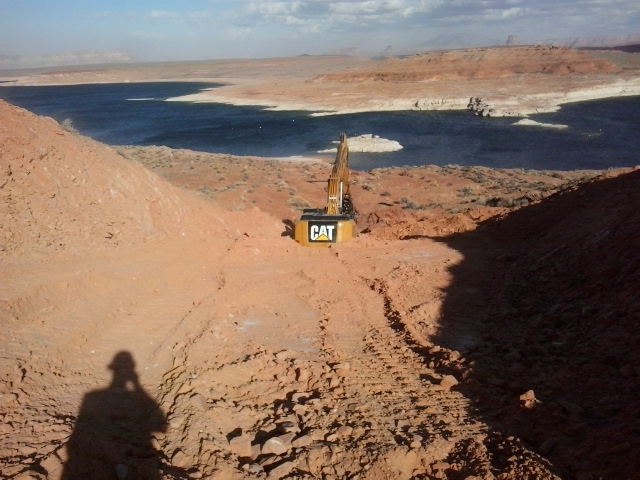 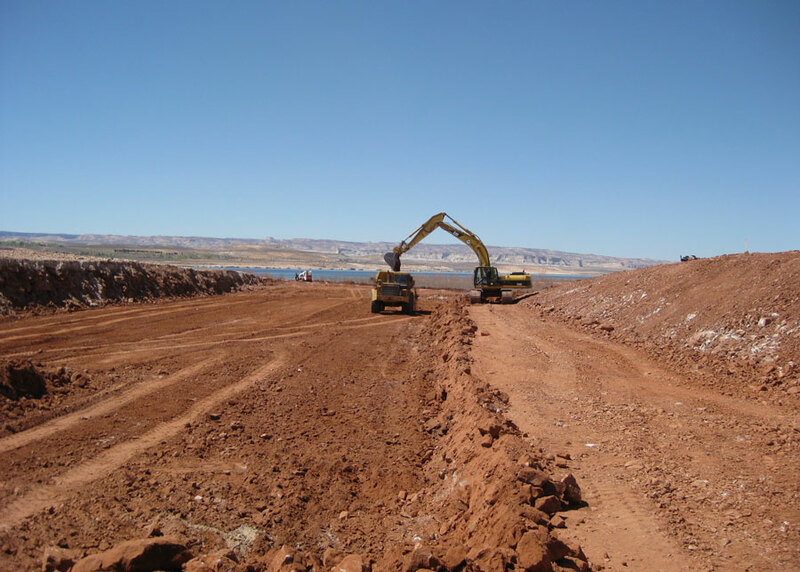 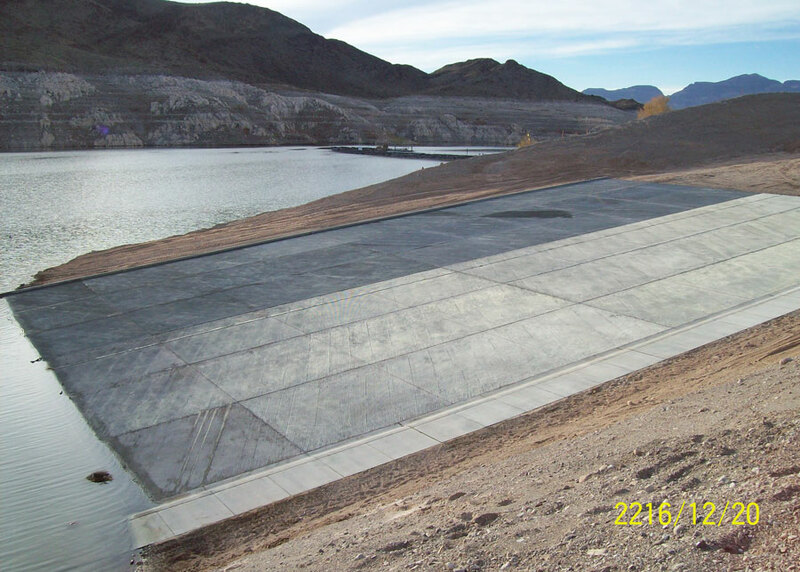 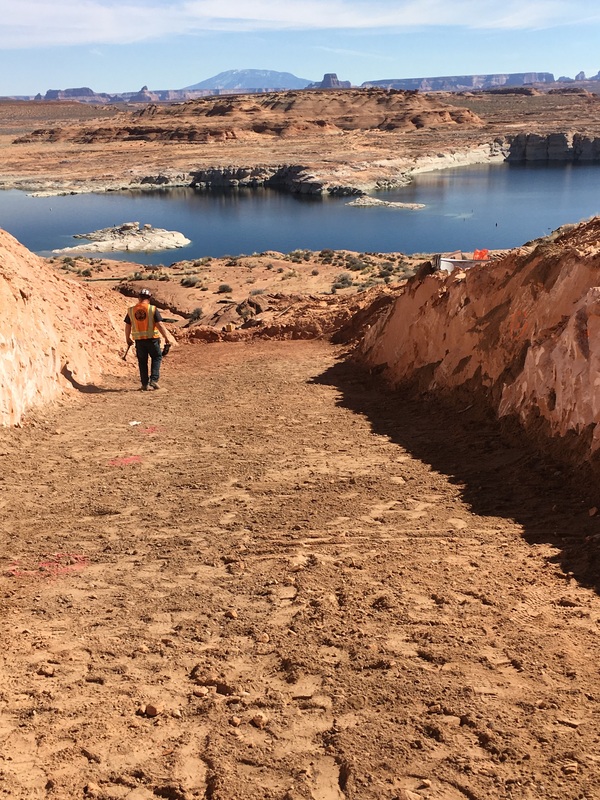 Project Description Drainage, pavement, and safety rehabilitation of Lakeshore Drive and Wahweap Marina Drive in Glen Canyon Nation Recreation Area, Arizona for a total length of about 4.66 miles, including minor grading and widening for the construction of concrete turn lanes at the intersection of Lakeshore Drive and Wahweap Marina Drive. 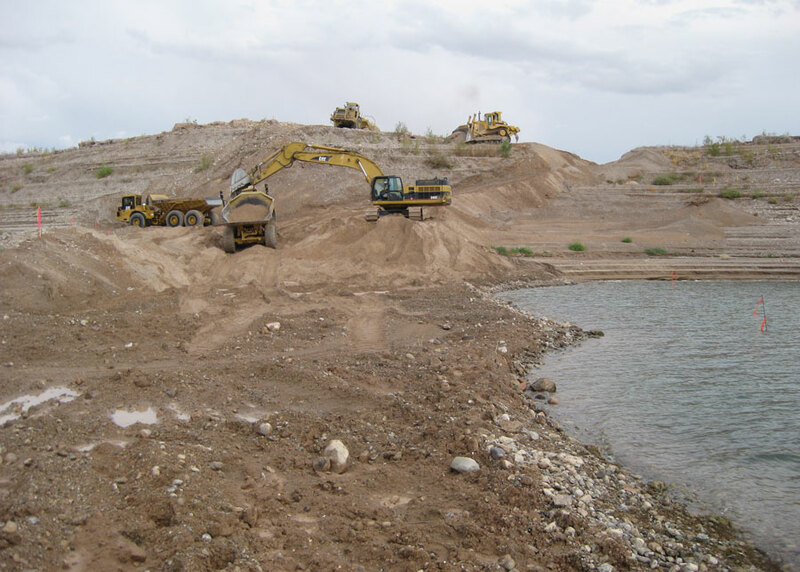 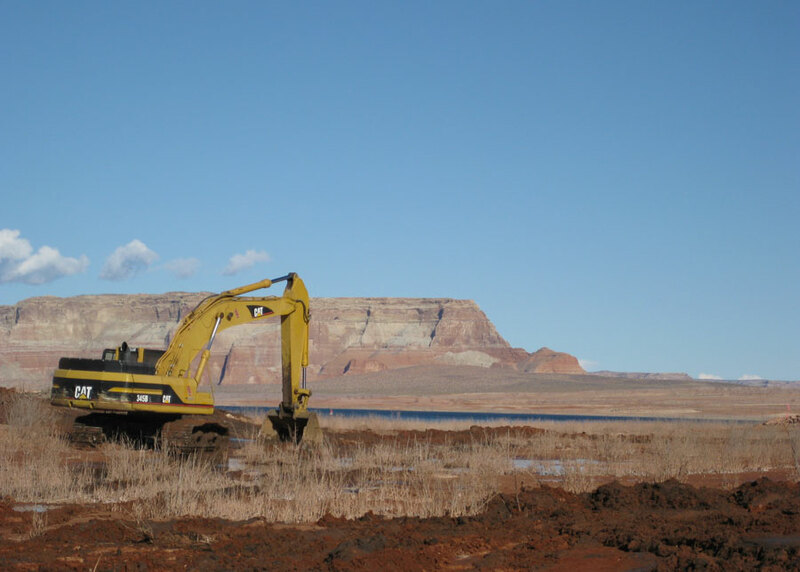 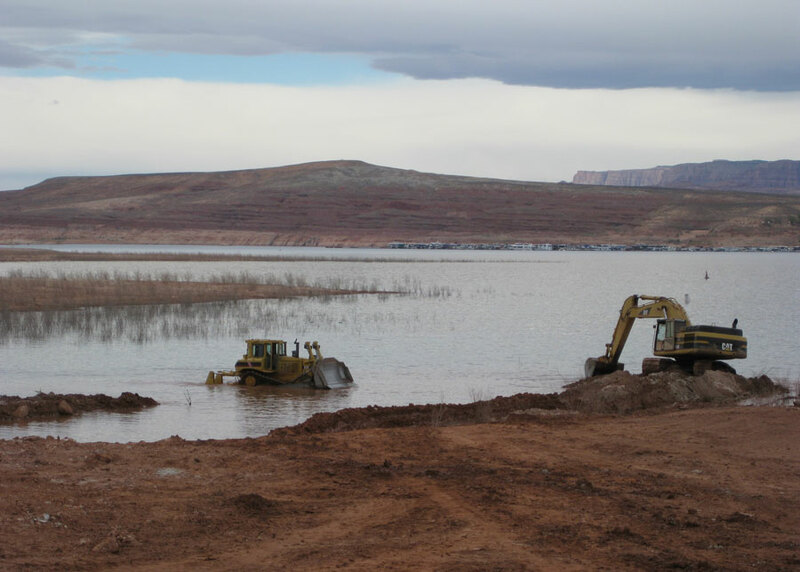 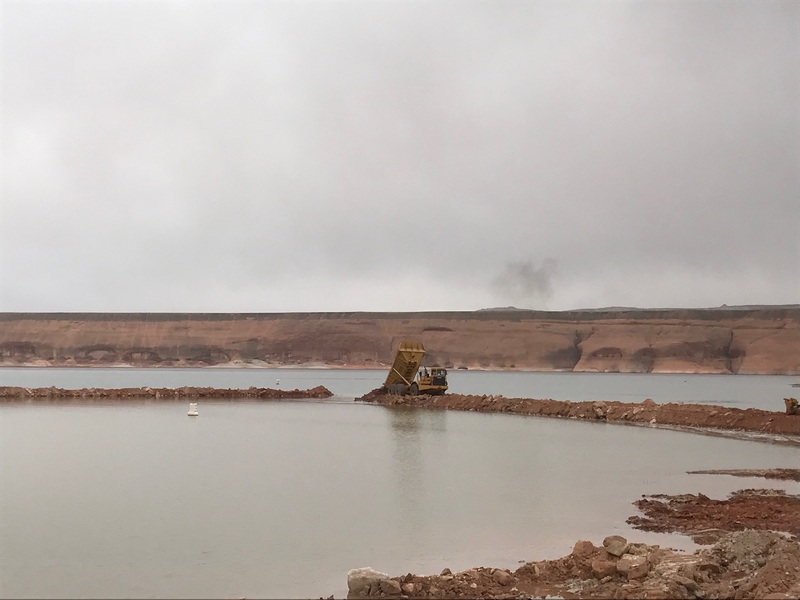 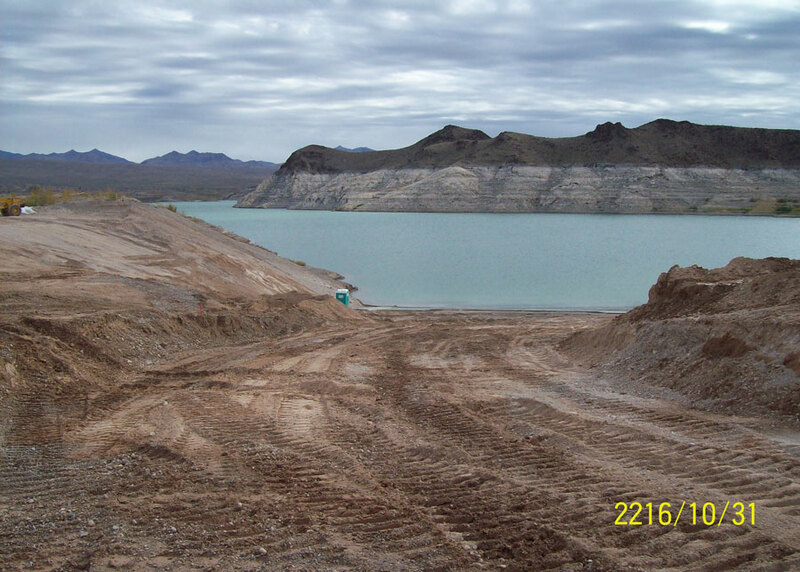 Project Description Lagoon site demolition, re-routing and armoring of a dry ephemeral channel around the lagoons, reconstruction of four lagoons, and other related work. 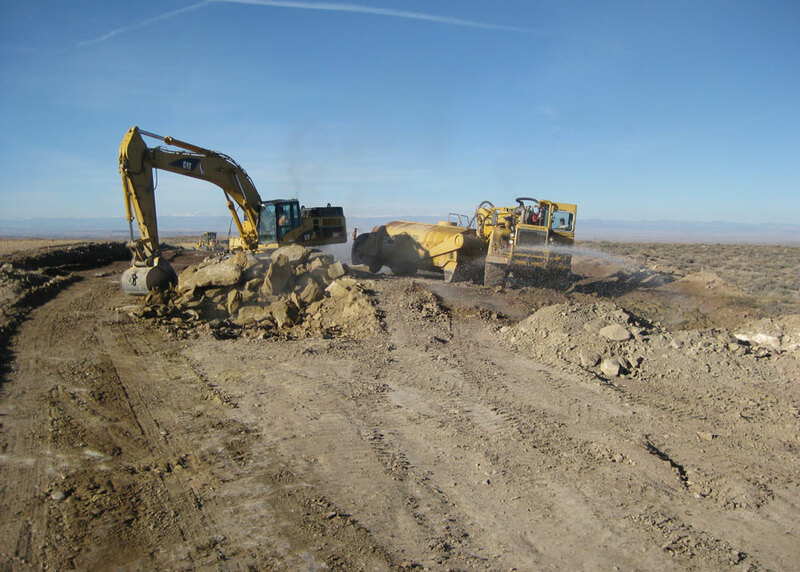 Project Description Road reconstruction including grading, drainage, aggregate base, and asphalt surfacing on 12.218 miles of roadway.